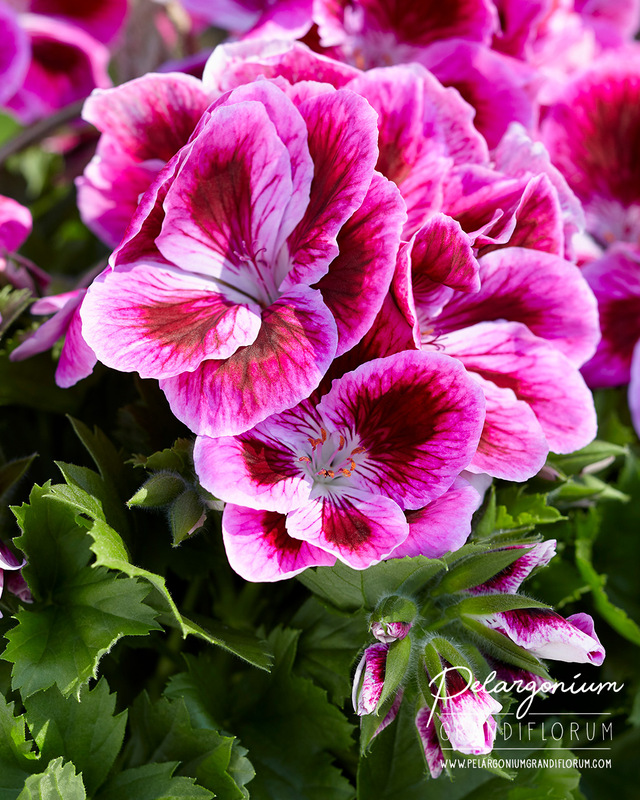 In English, the Regal Pelargonium is sometimes called “Show Pelargonium”. 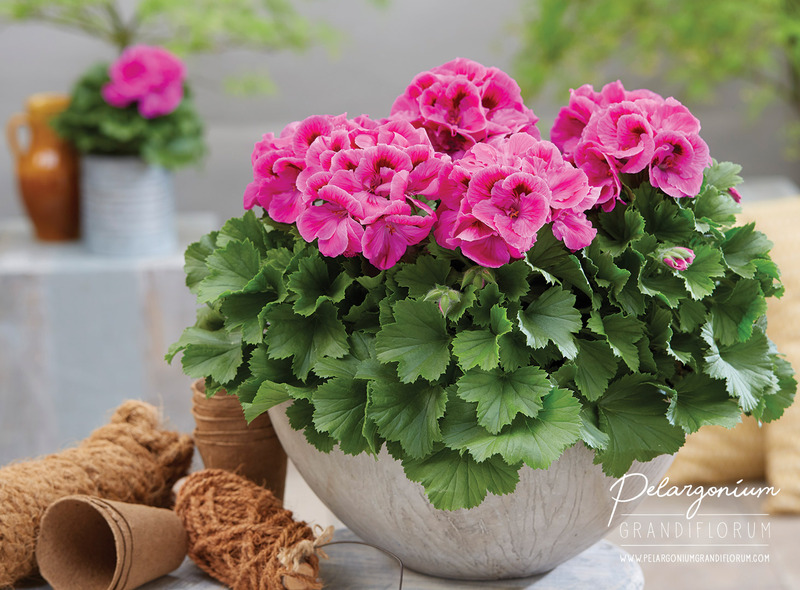 In the United States the plant is also known as the "Martha Washington Geranium" or ‘"Lady Washington Pelargonium". 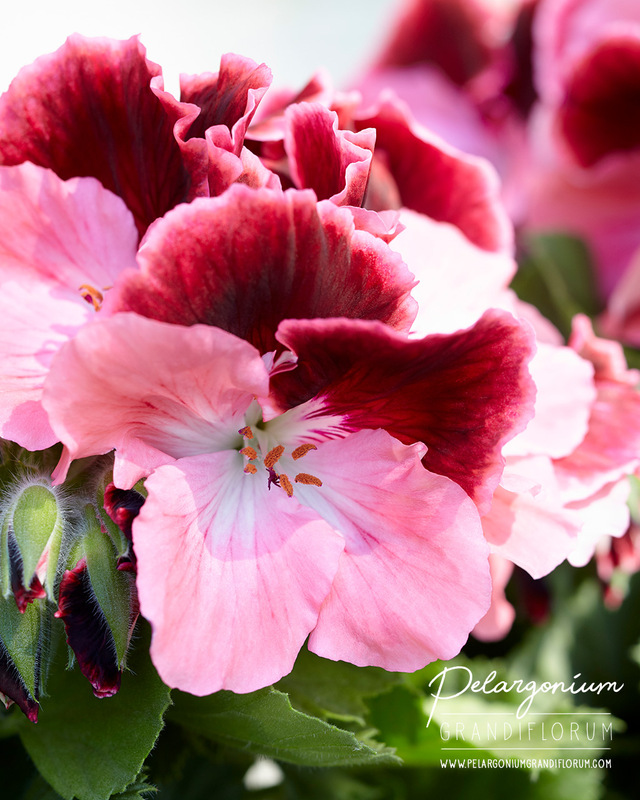 In Germany, the Regal Pelargonium is known by the name “Edelgeranie”. 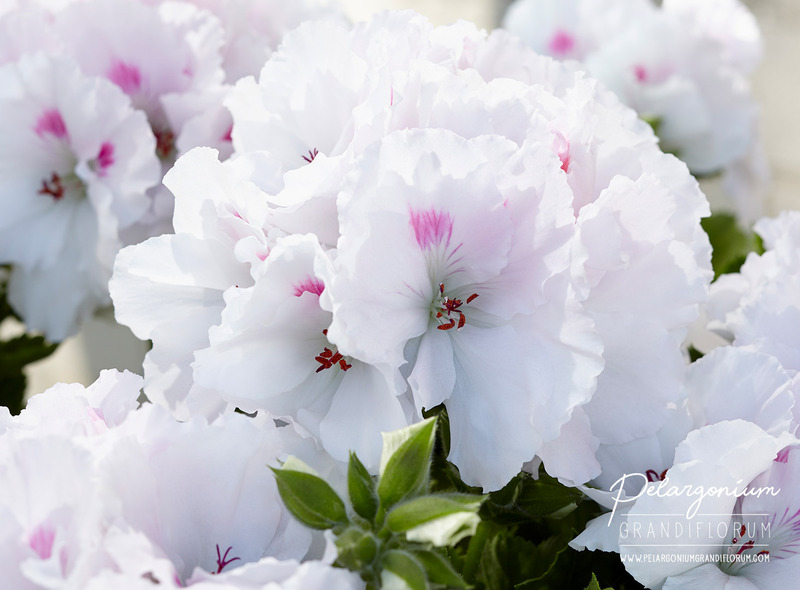 “Edel” means “noble”. 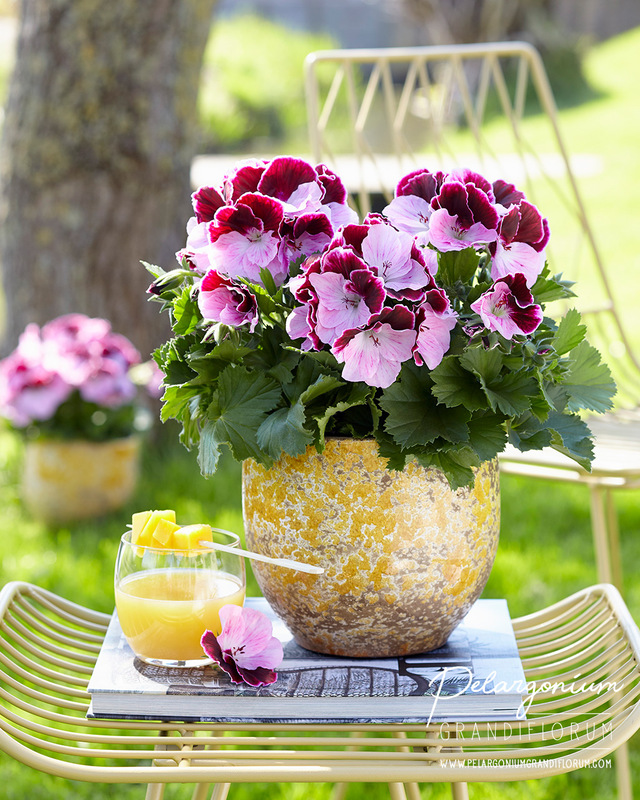 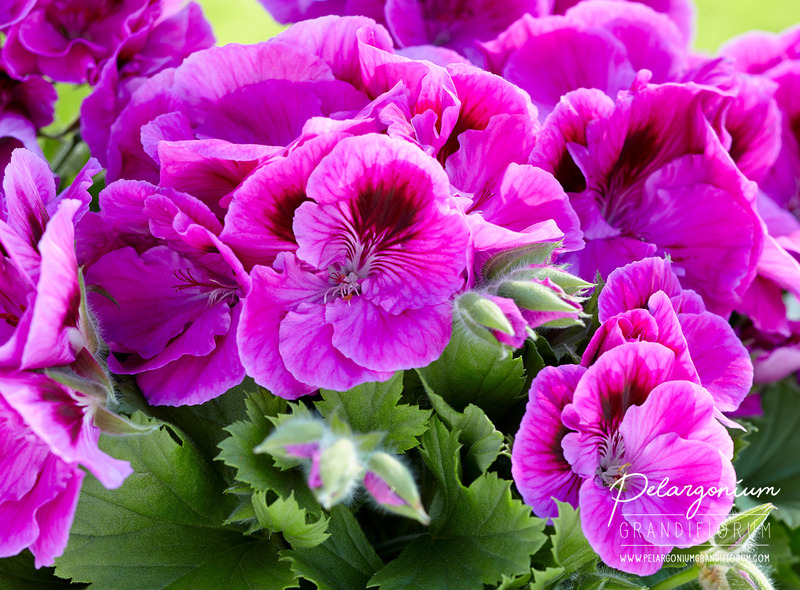 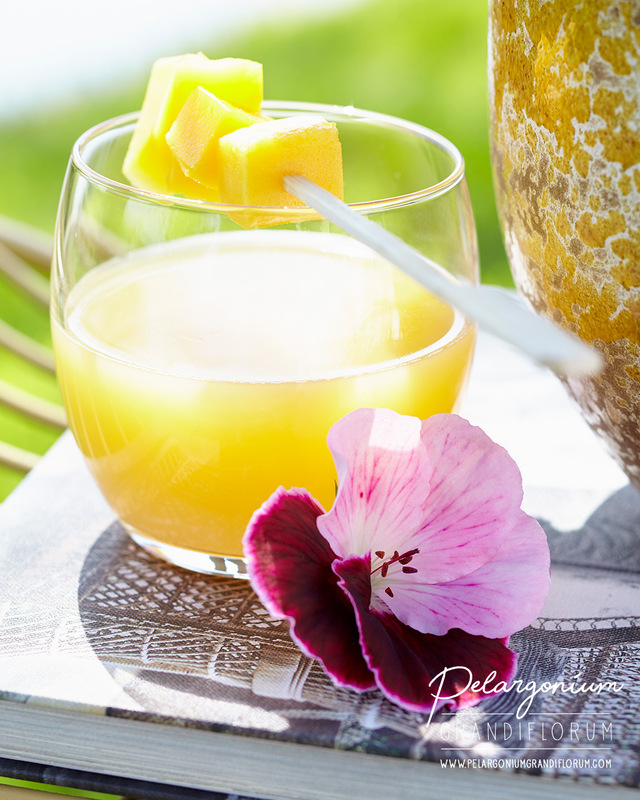 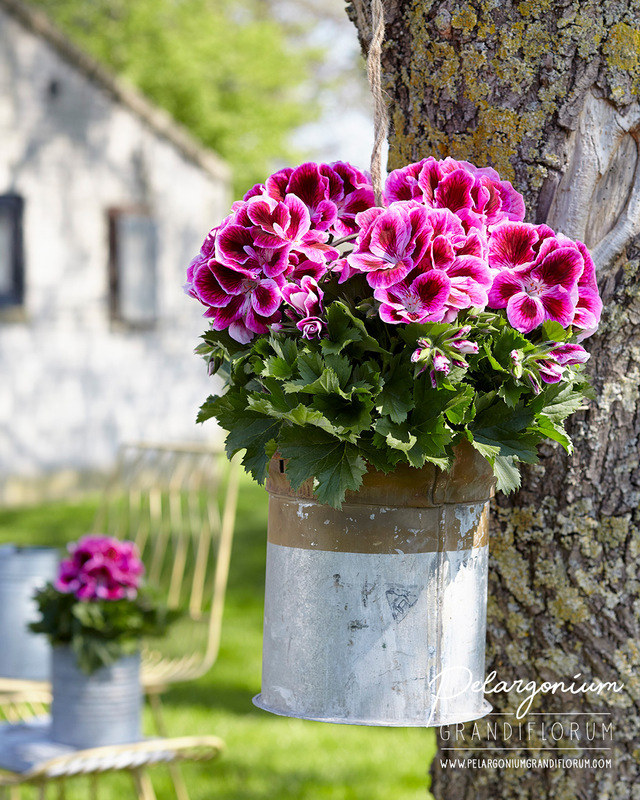 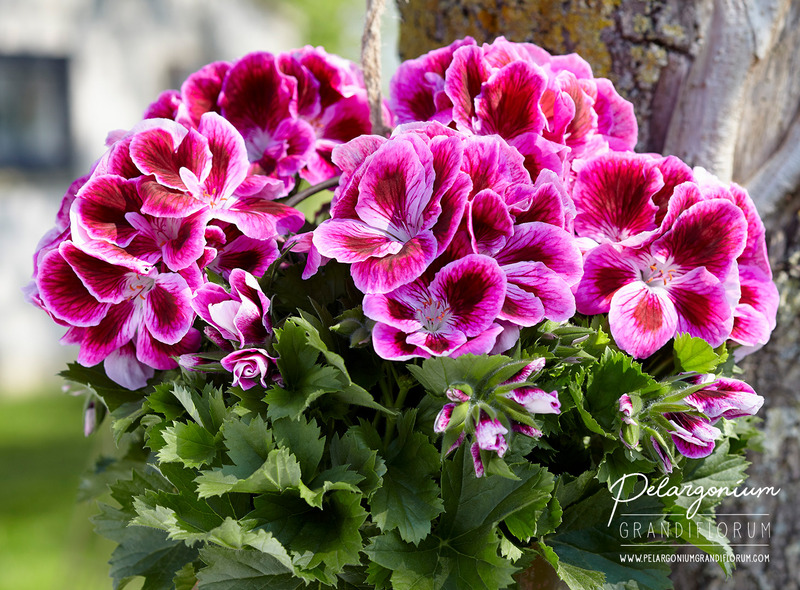 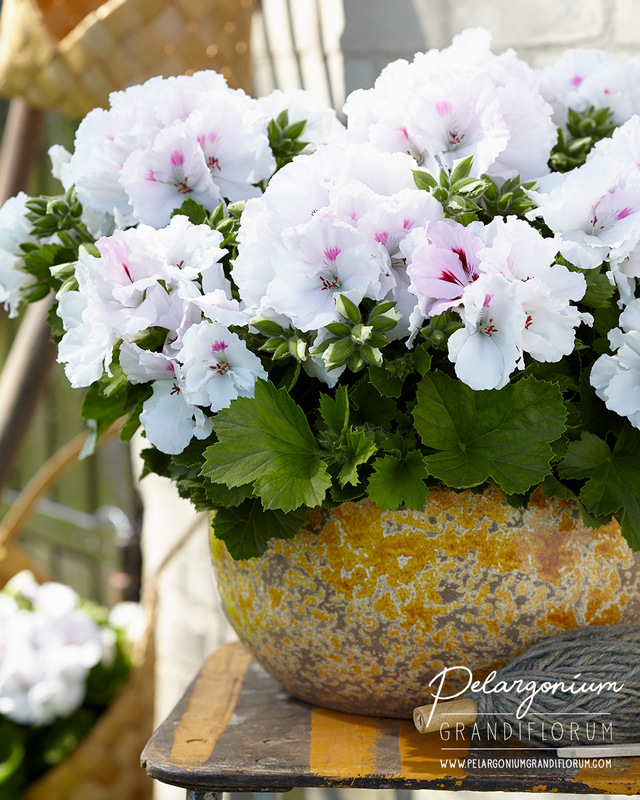 The Dutch call the flower “Franse Geranium”, meaning French Geranium. 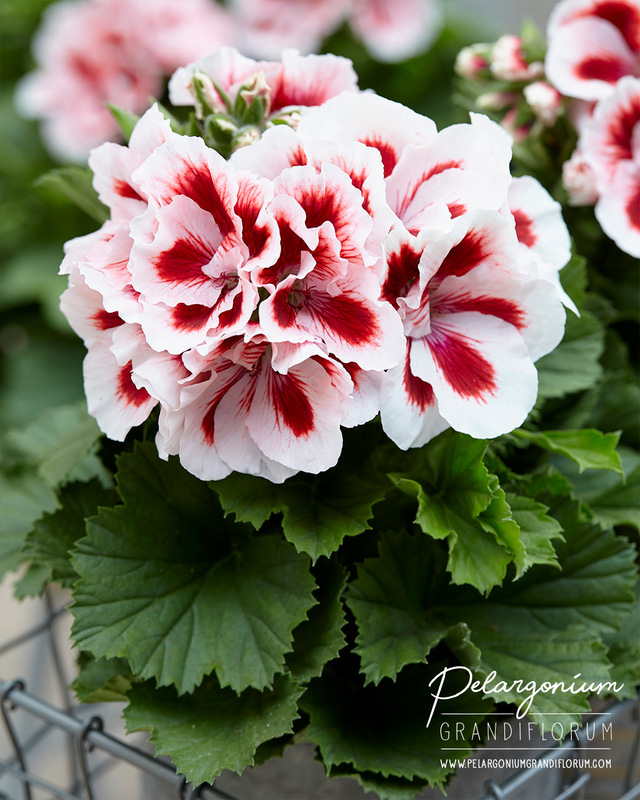 The Dutch adopted this name because of the plant's French “grandeur”. 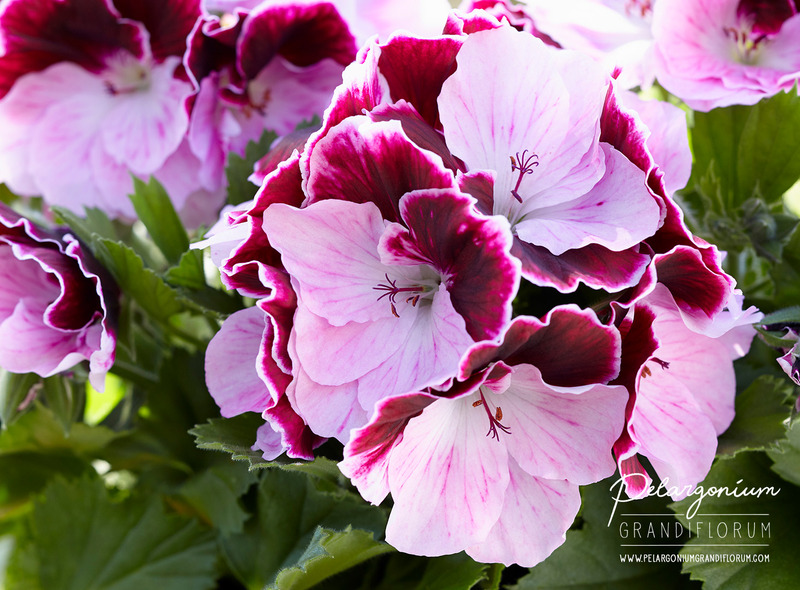 The word “grandeur” means majestic or great. 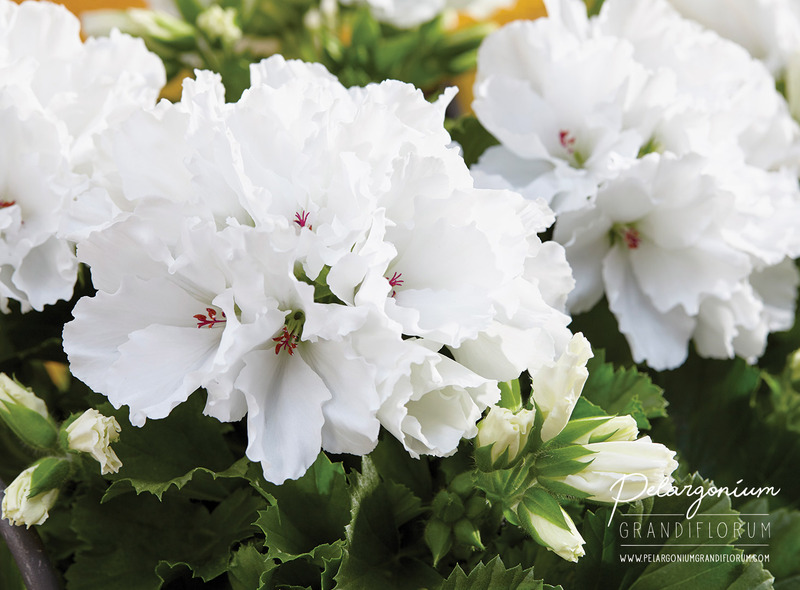 The greatness of the plant can be seen in its big, beautiful flowers (thus “grandiflorum”) which bloom abundantly on balconies, verandas, terraces and in gardens. 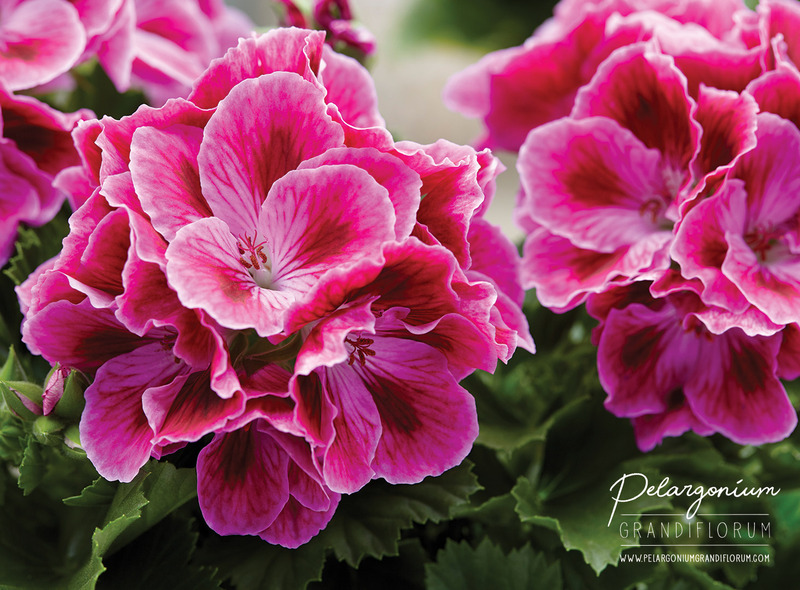 The Regal Pelargonium is an annual plant but can make it through the winter if taken care of properly. 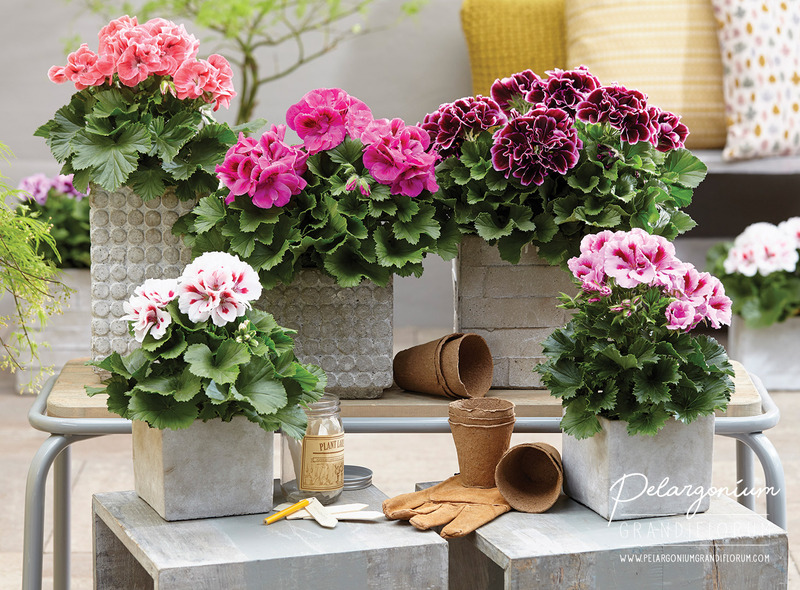 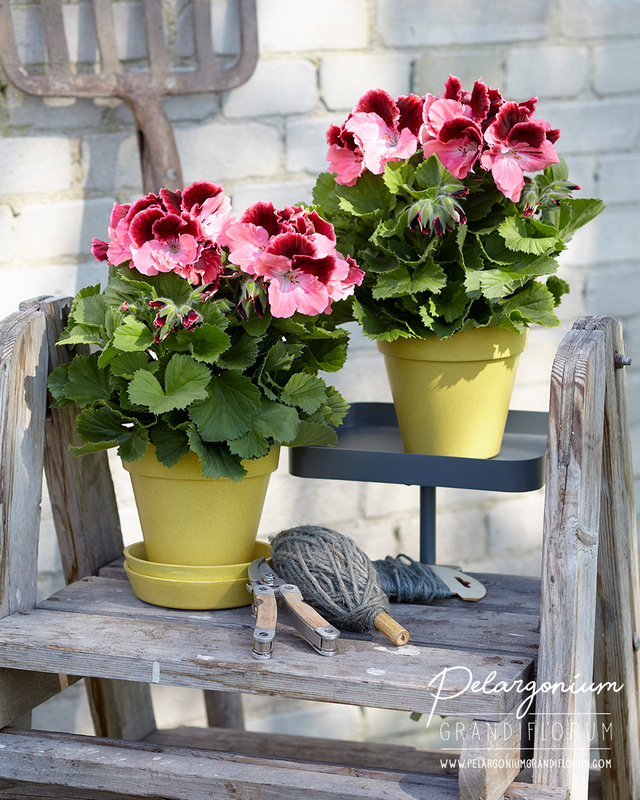 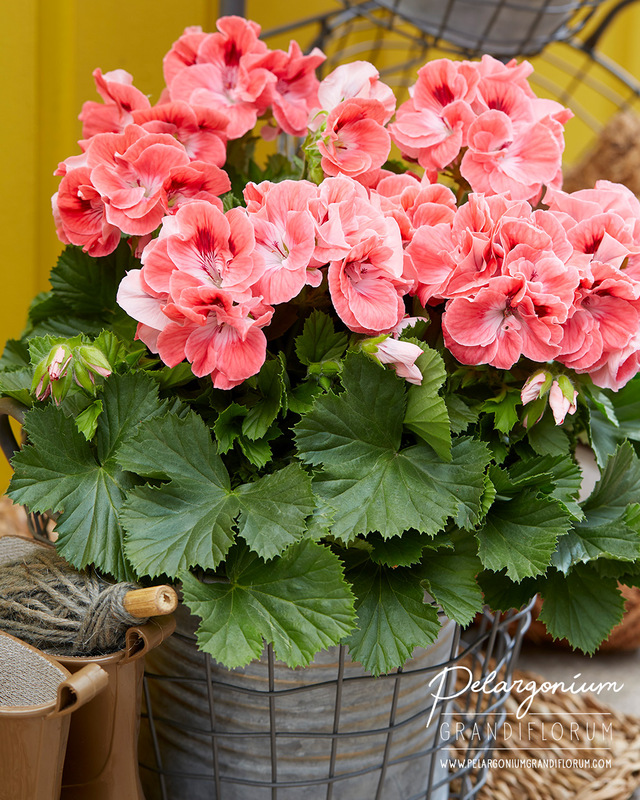 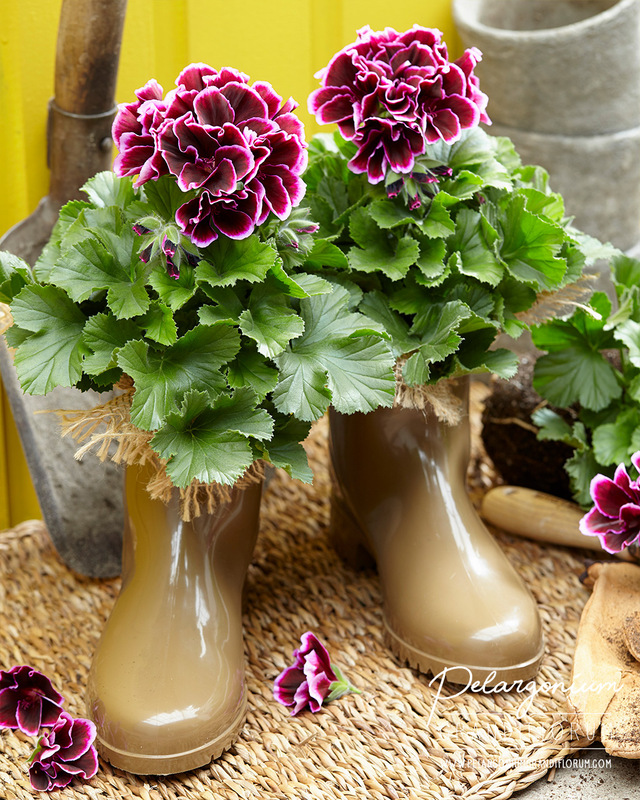 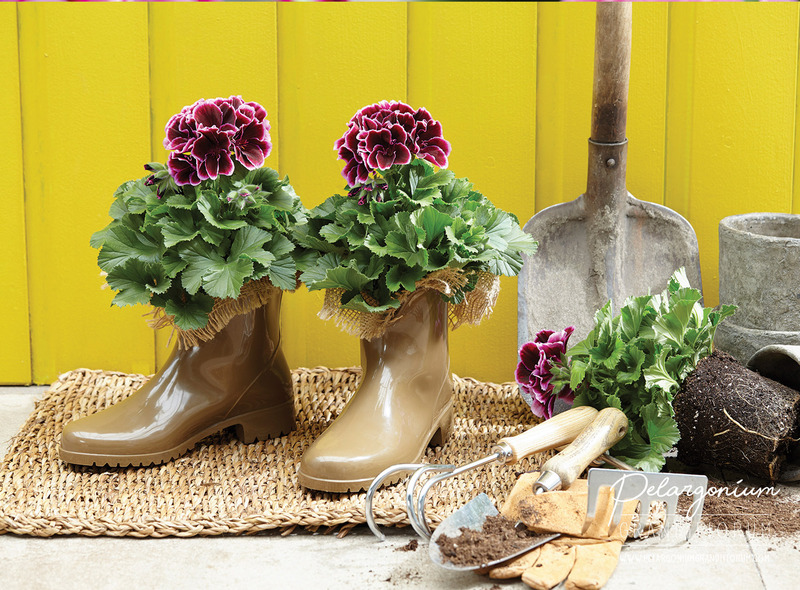 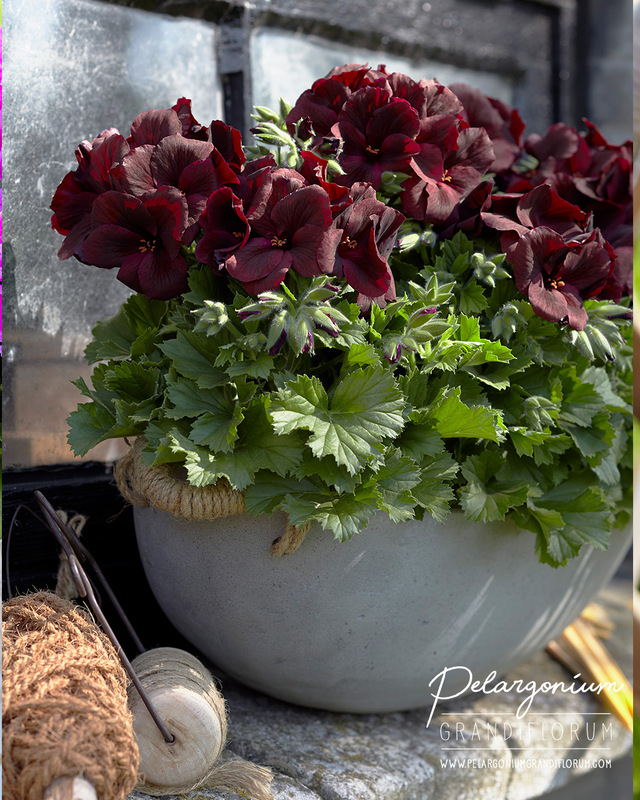 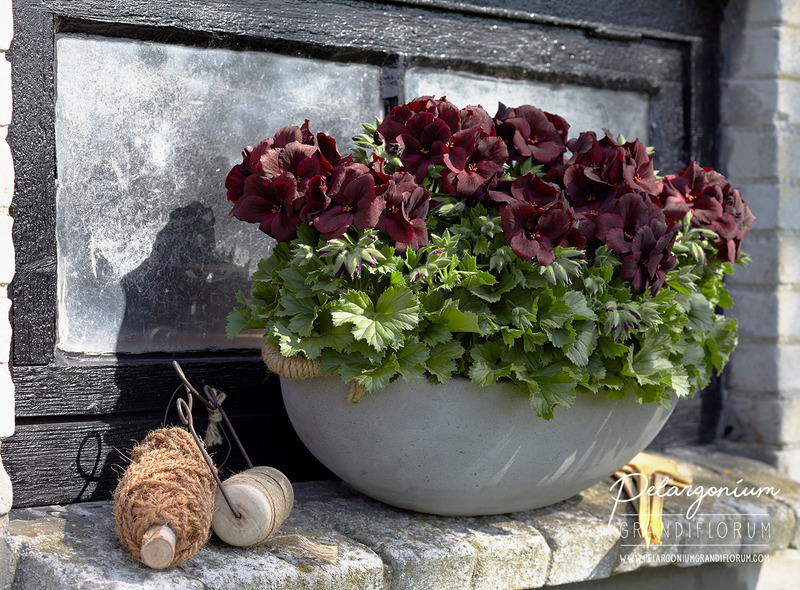 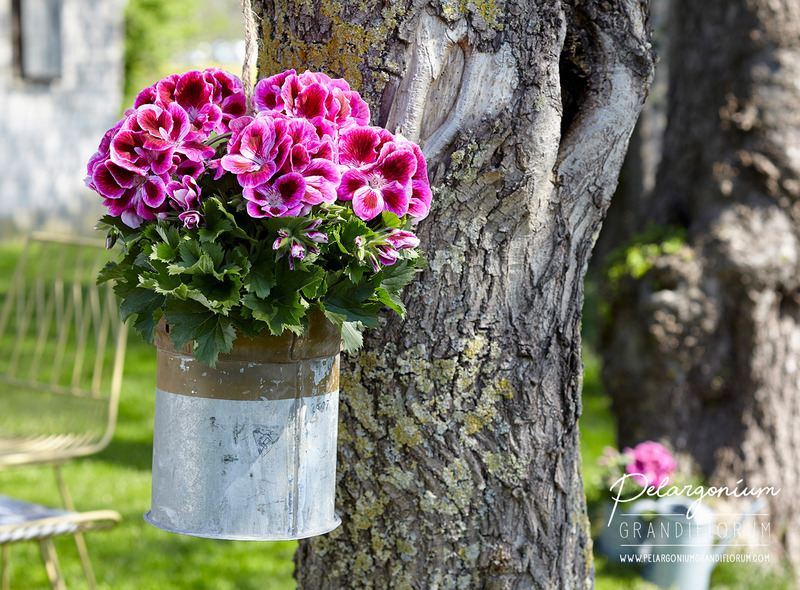 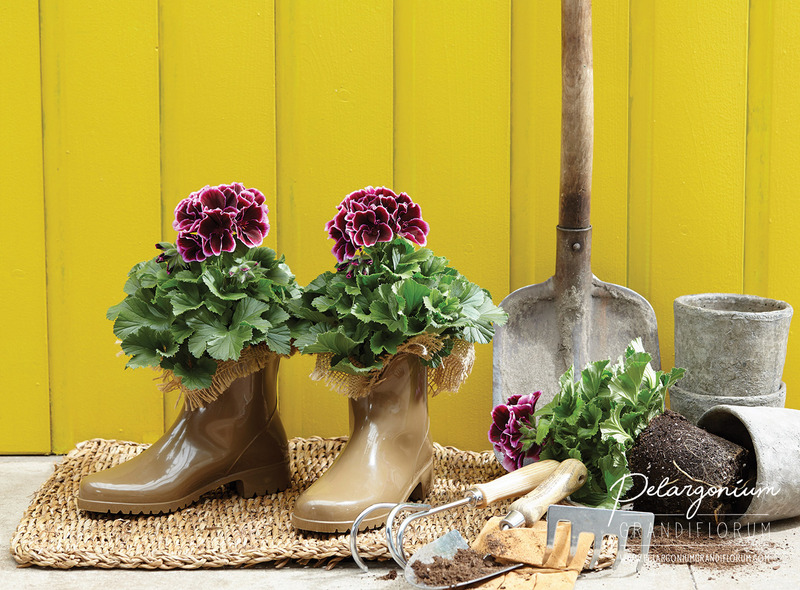 To prepare the plant for the winter period, prune the Regal Pelargonium to ten centimetres. 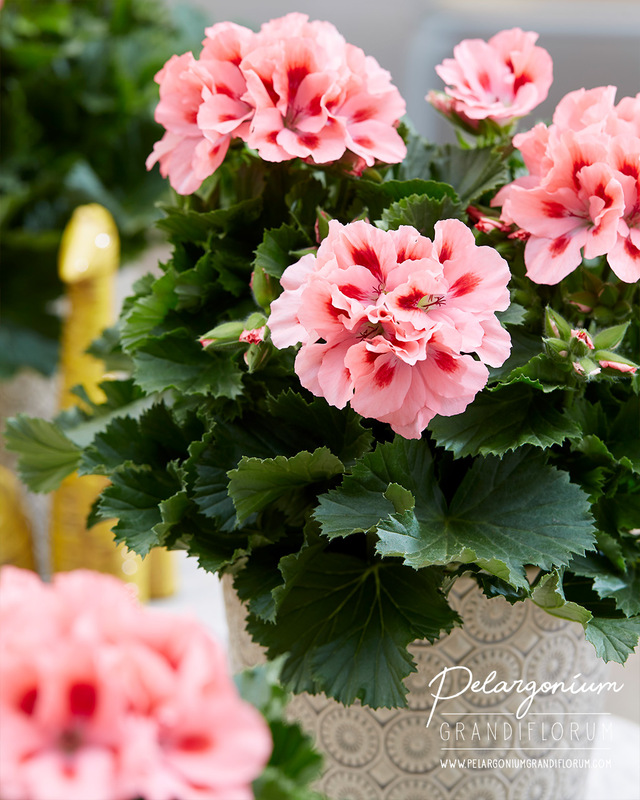 During the winter months, leave the plant in a room with a temperature of approximately 12°C. 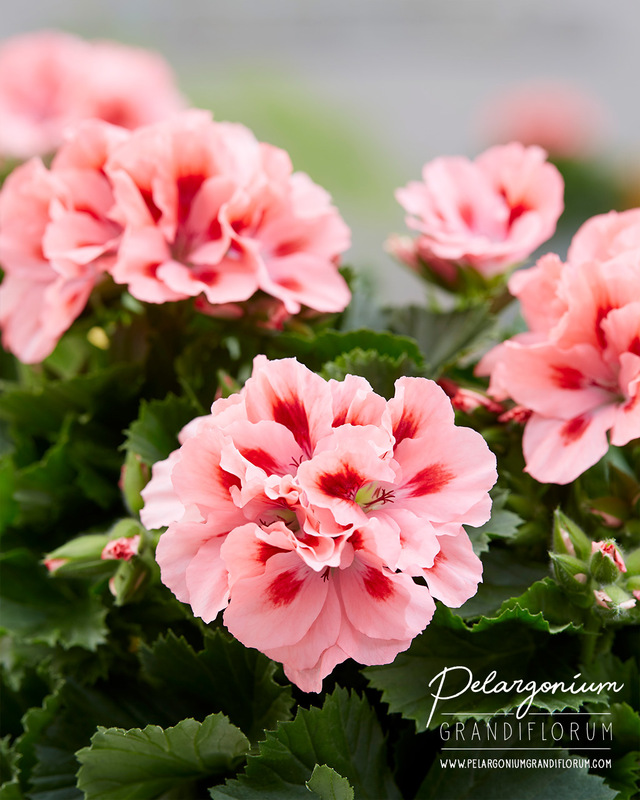 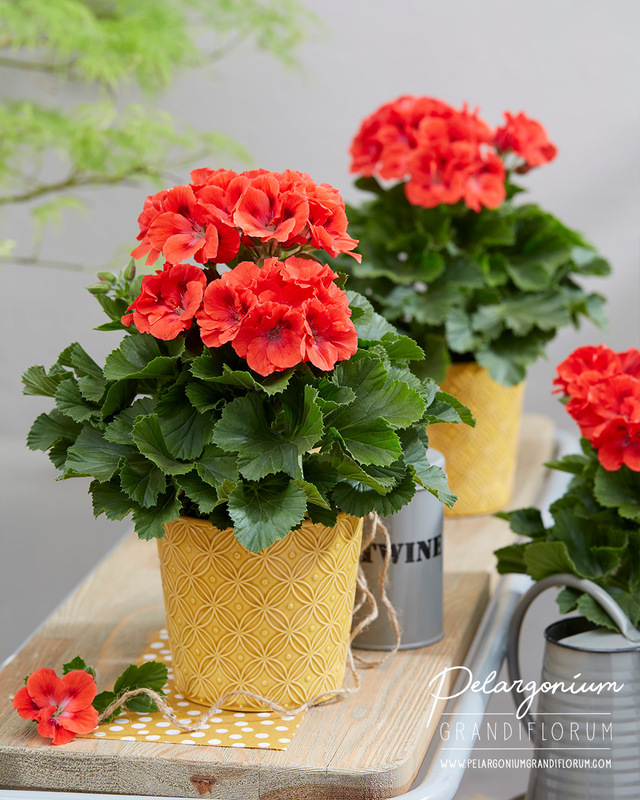 Regal Pelargoniums like to be in a light but sheltered place in the garden or on a balcony. 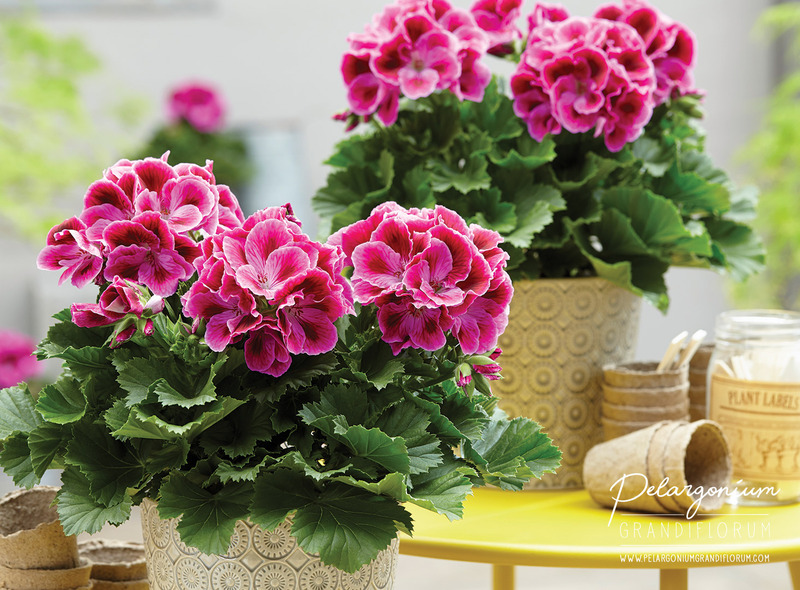 The light will encourage the plant to grow vivid, colourful flowers. 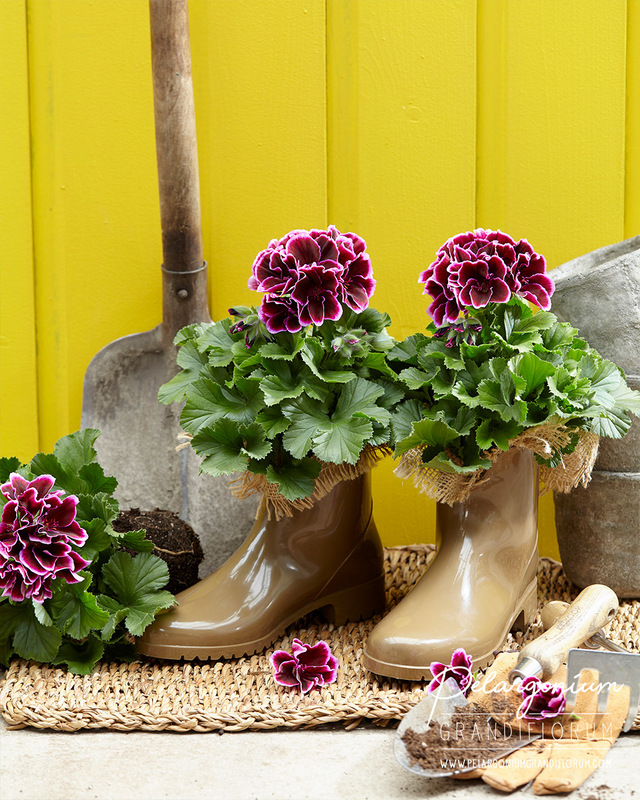 A sheltere is necessary to protect the flowers from rain. 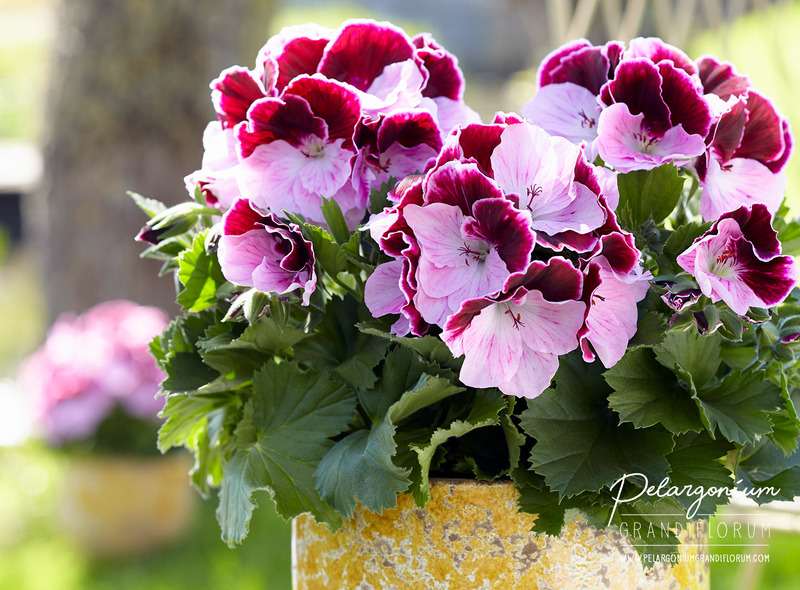 The Regal Pelargonium is a house and garden plant. 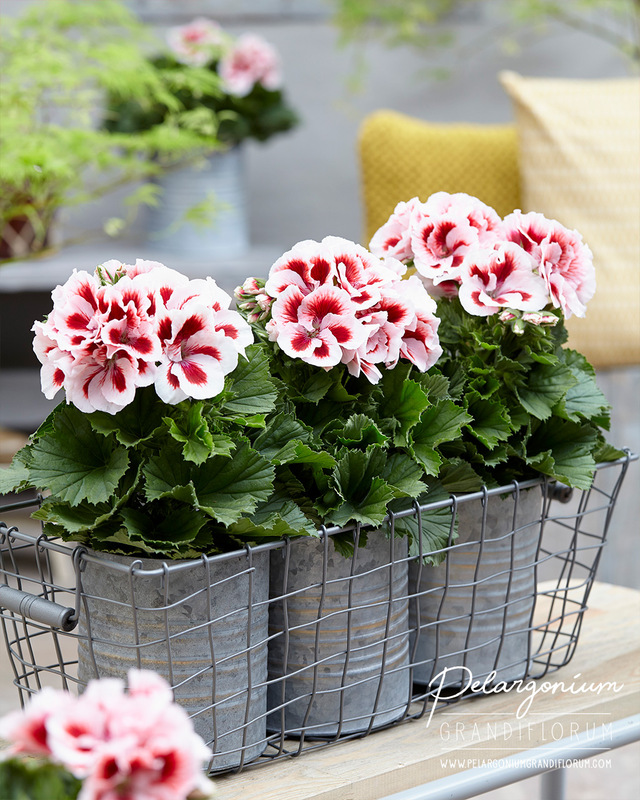 After a flowering period indoors, you can move the plant outdoors. 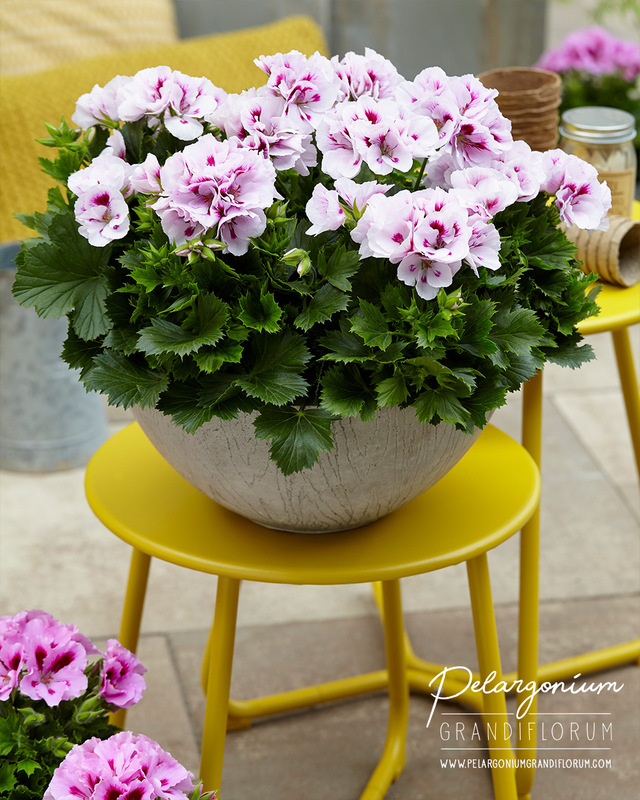 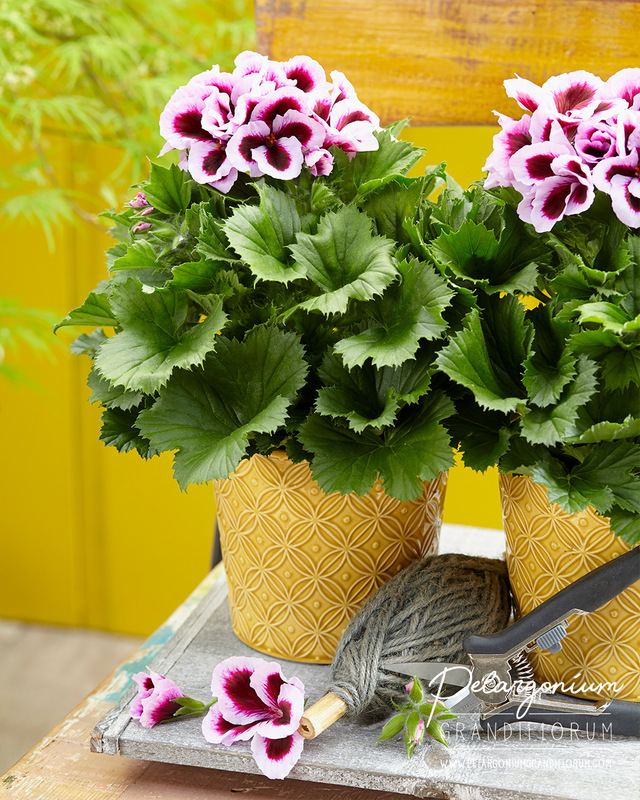 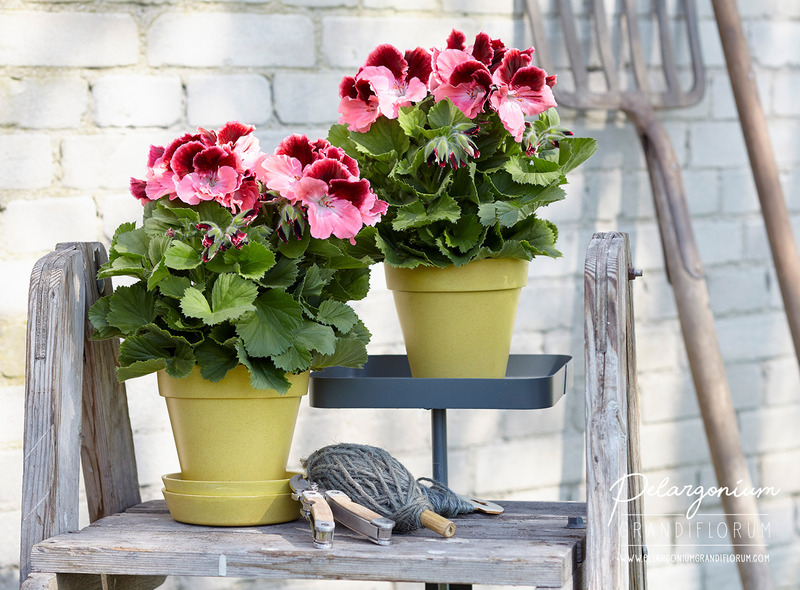 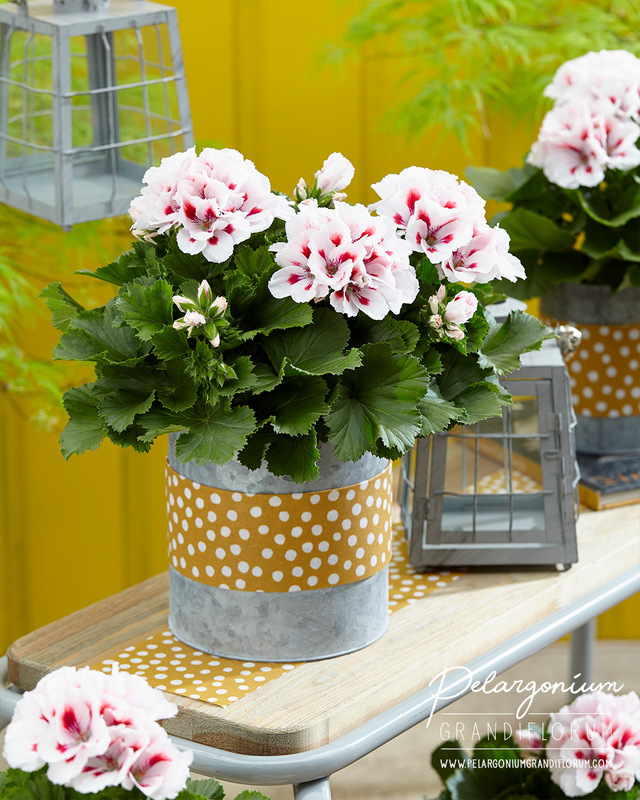 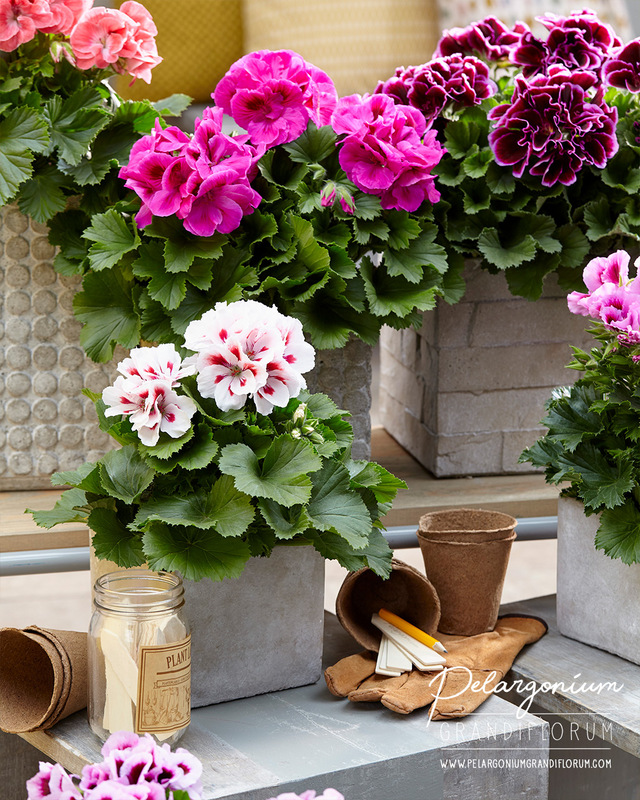 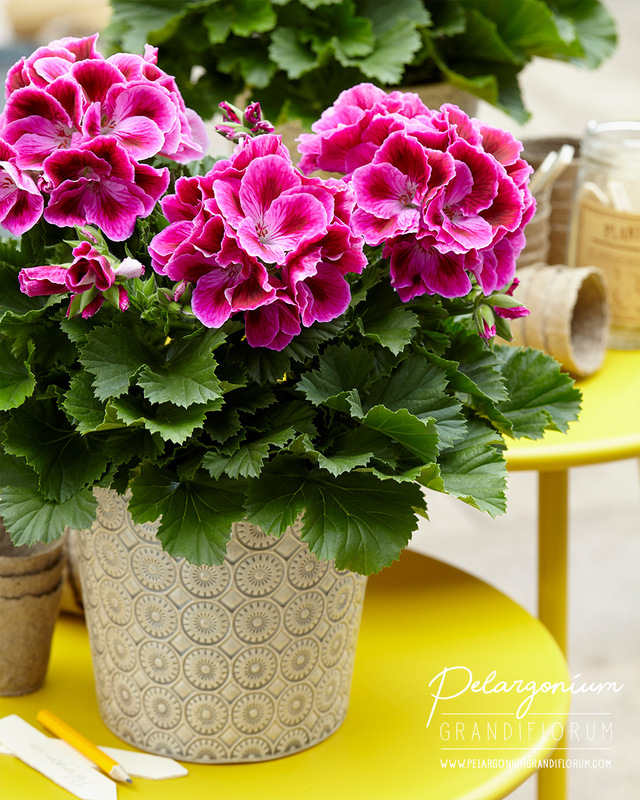 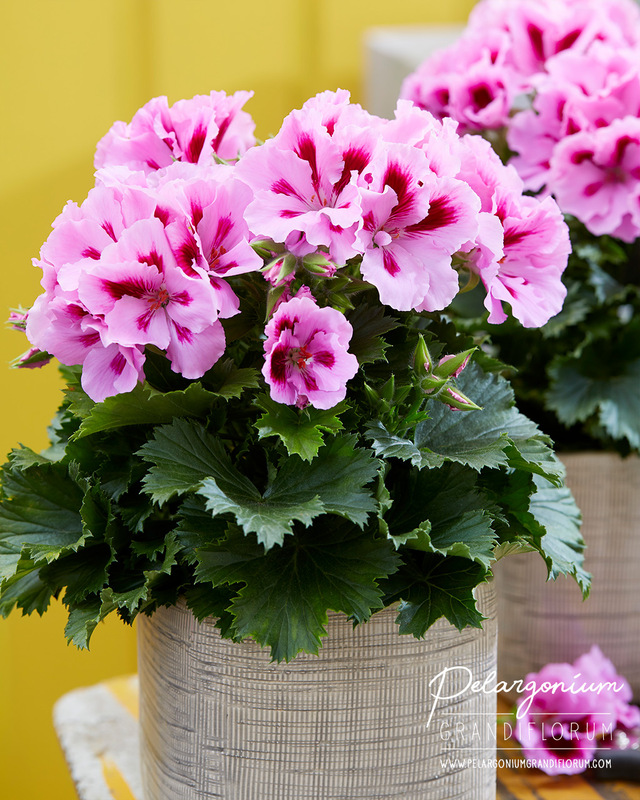 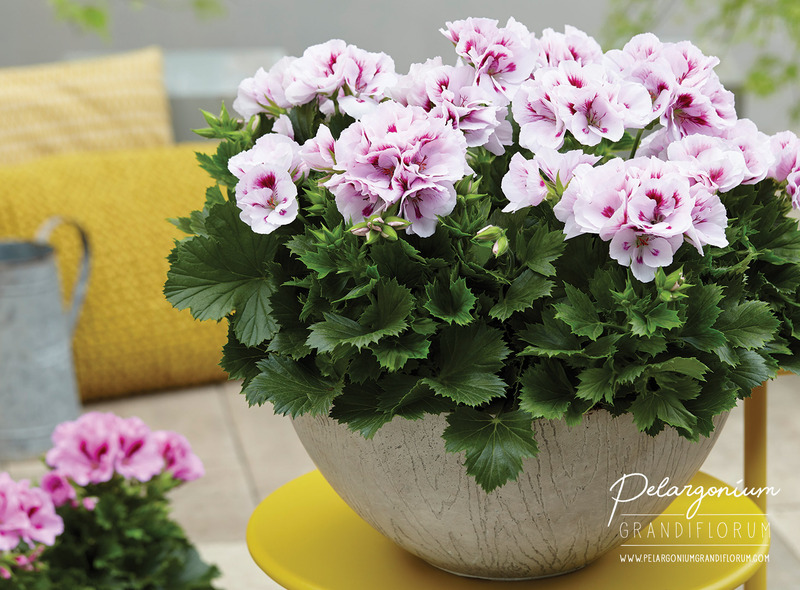 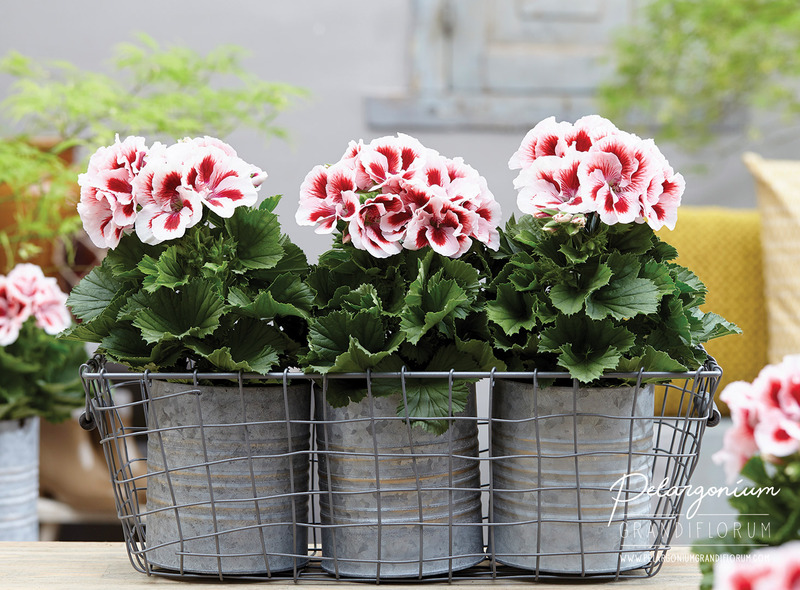 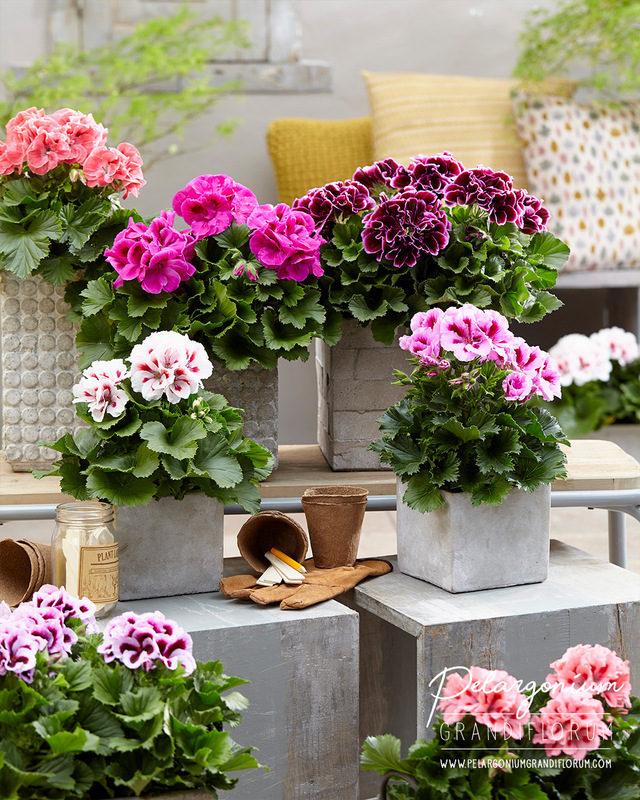 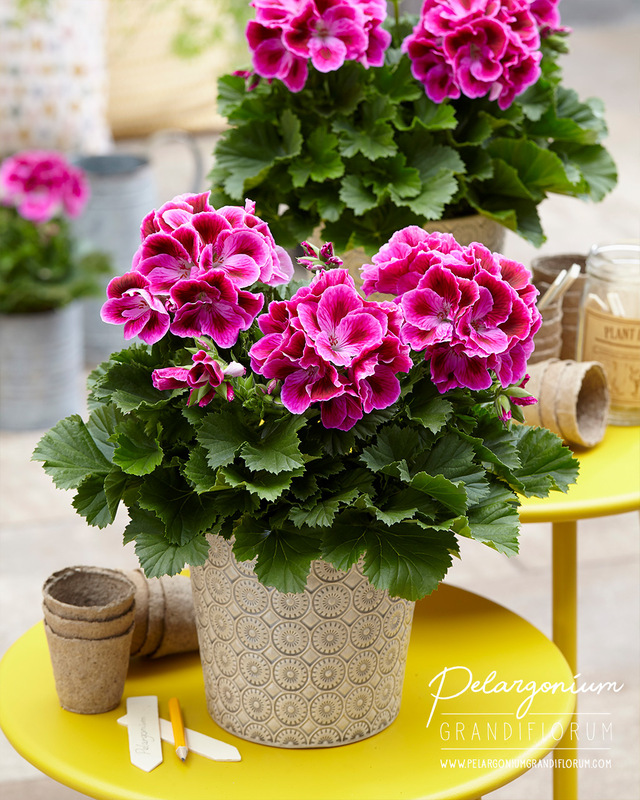 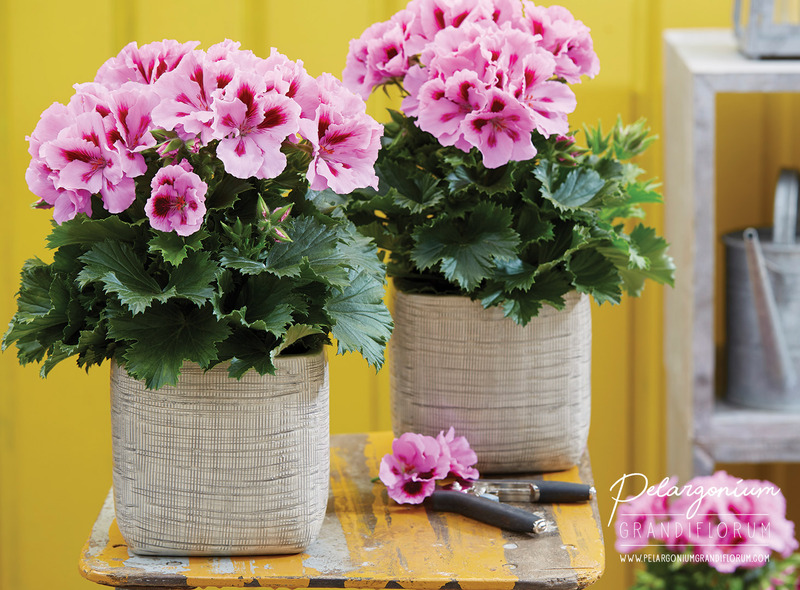 The Regal Pelargonium will bring colour to your balcony, garden, patio, veranda or terrace. 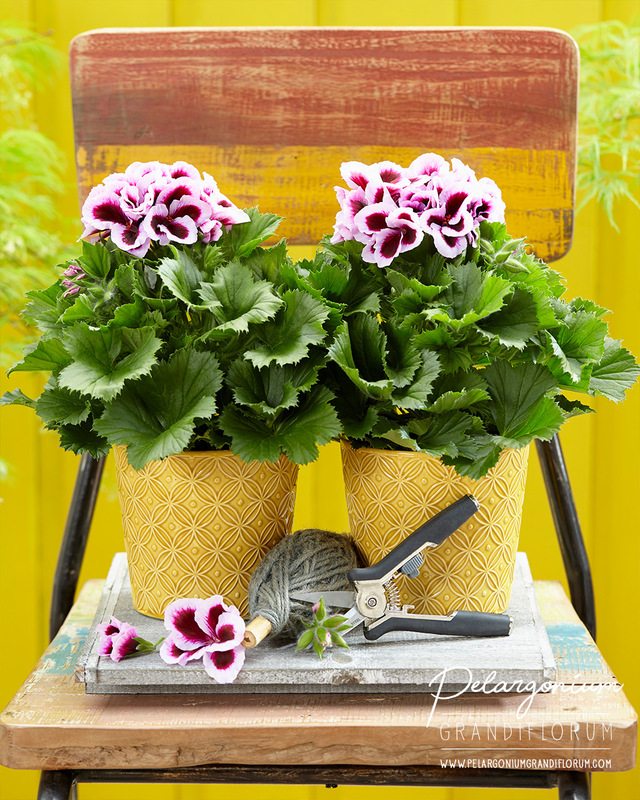 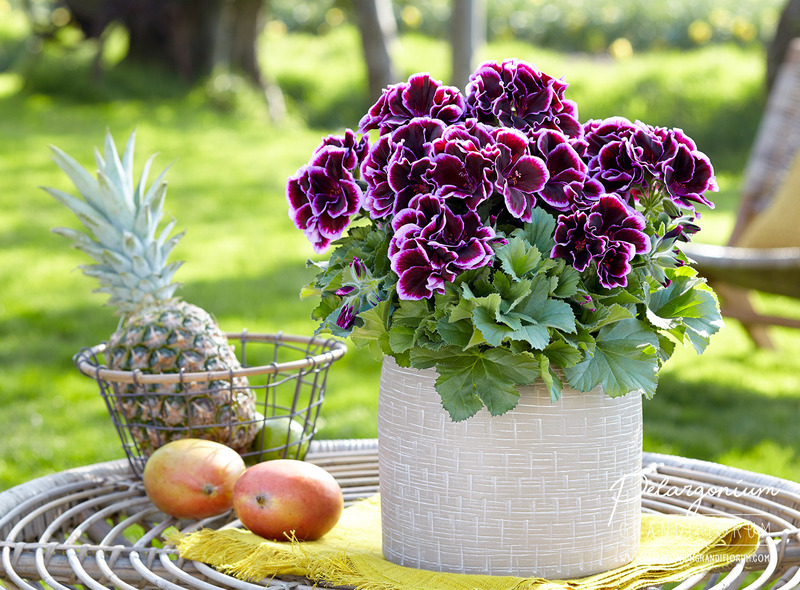 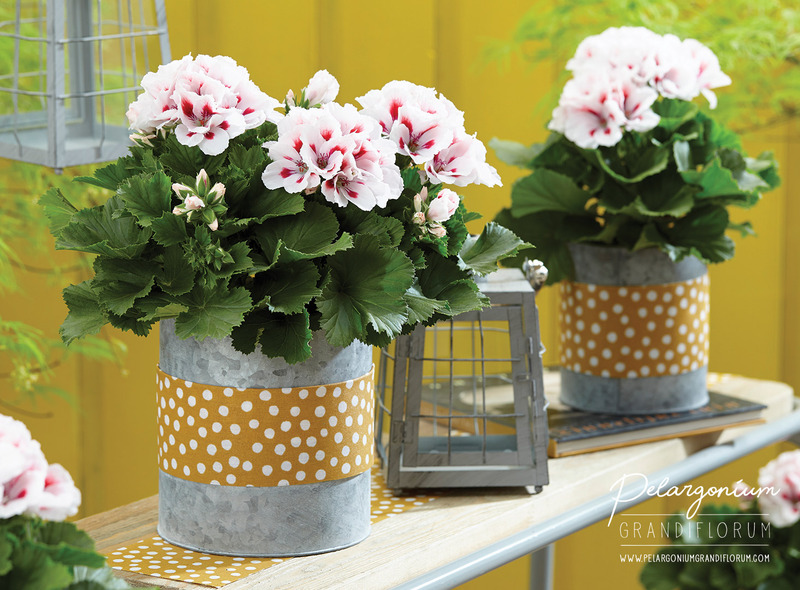 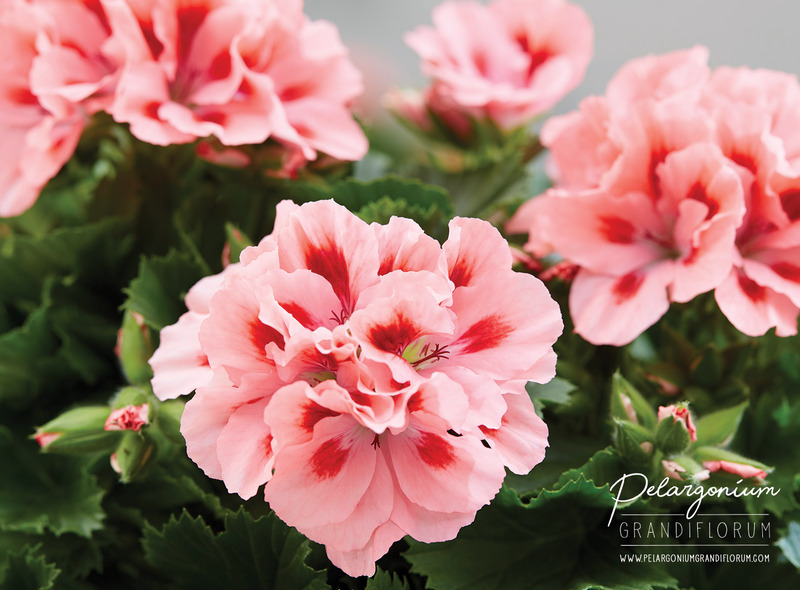 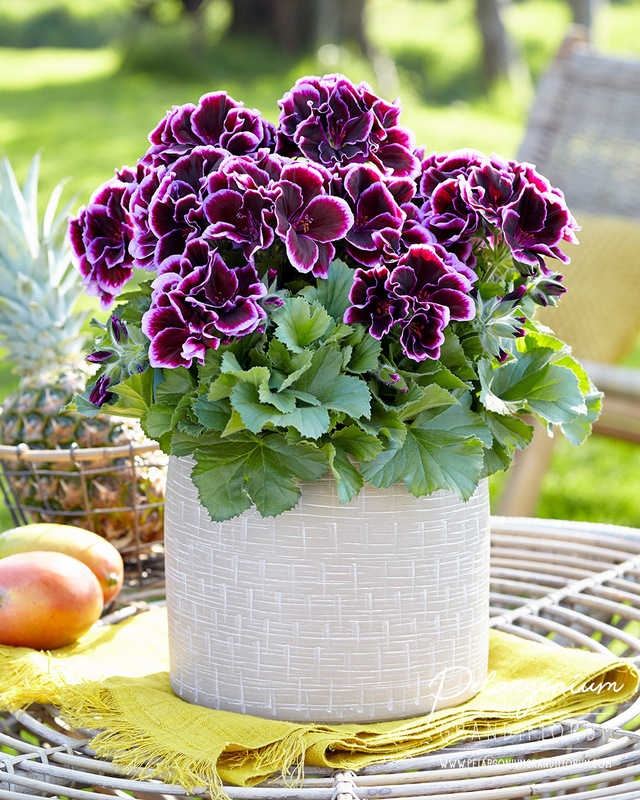 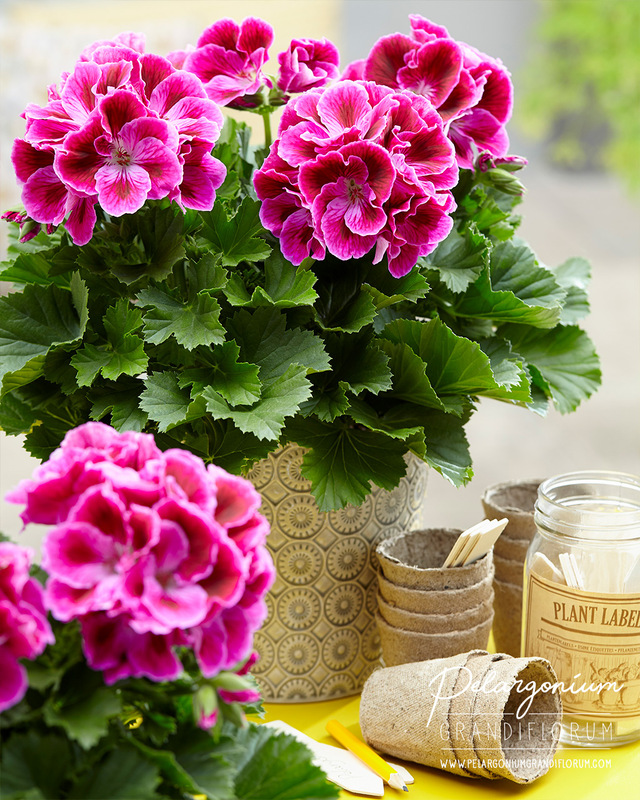 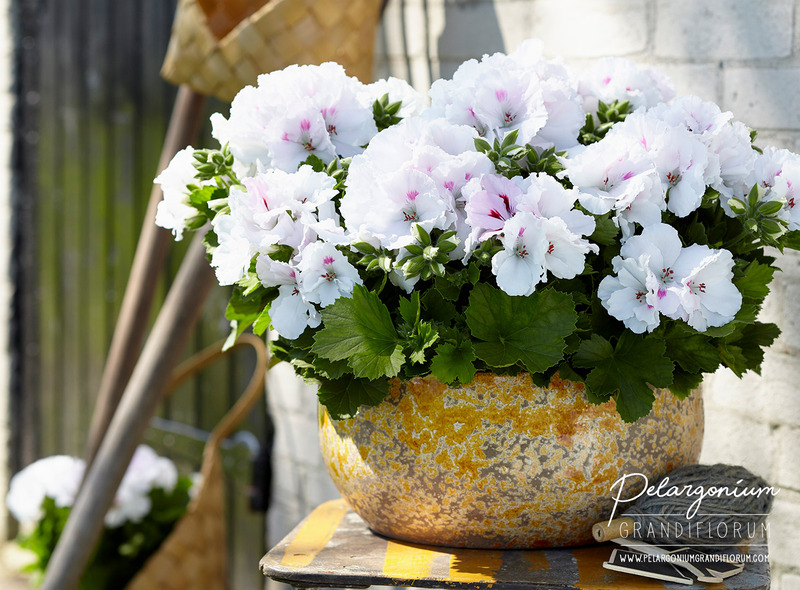 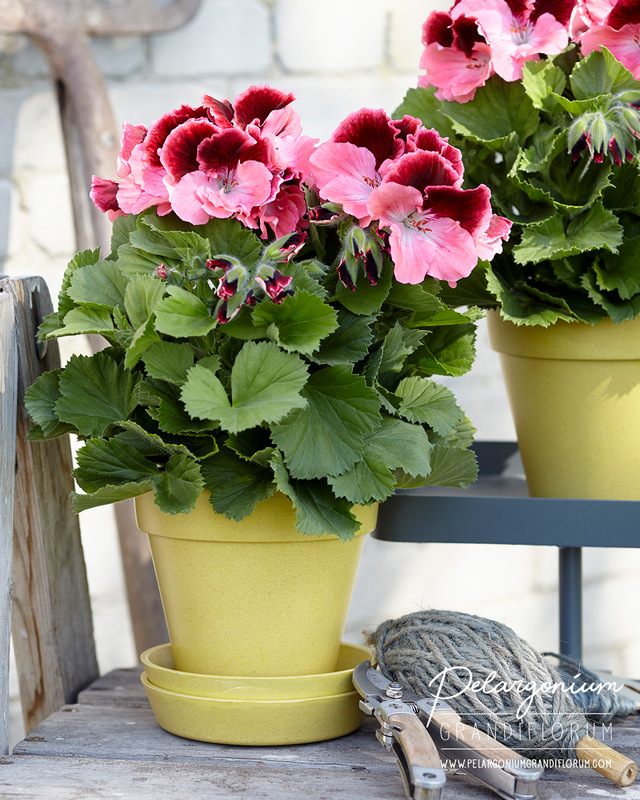 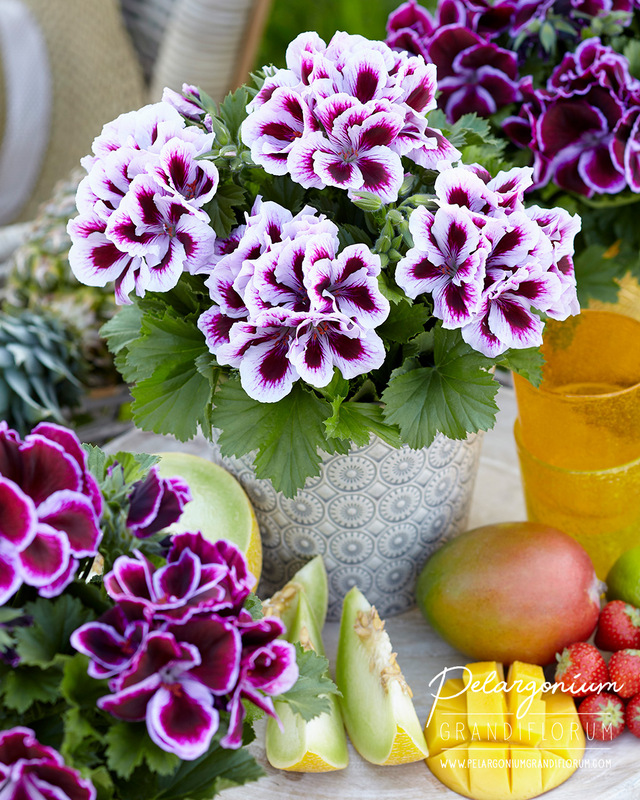 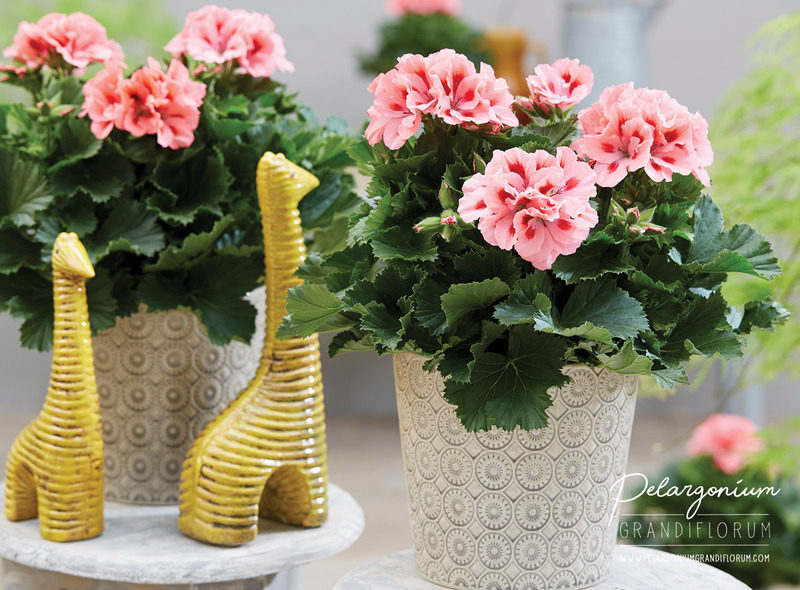 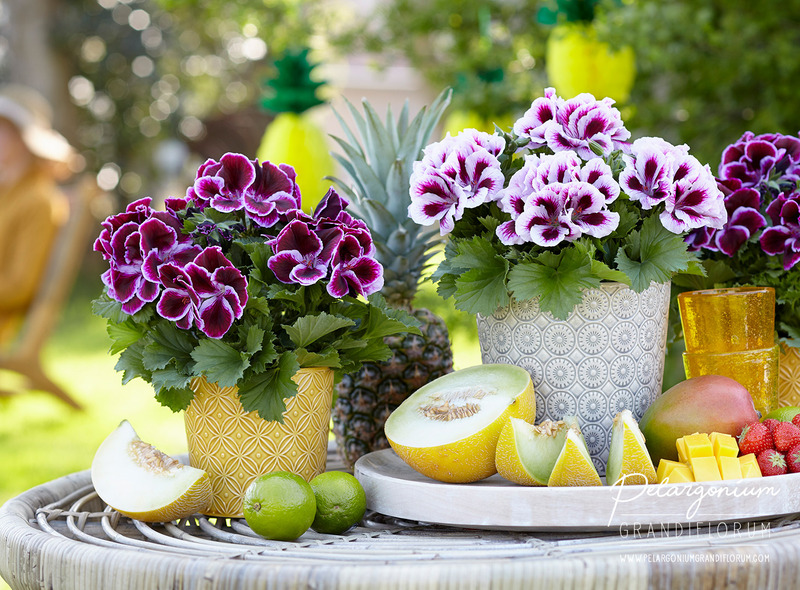 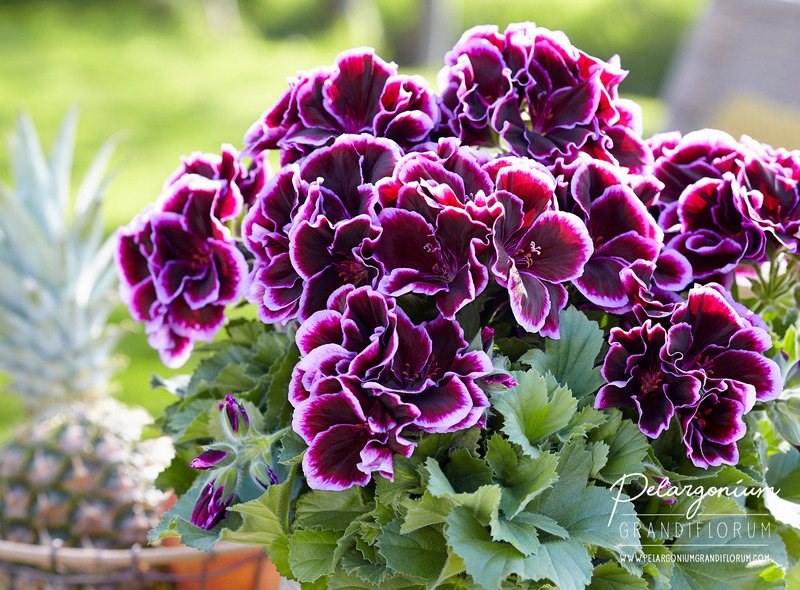 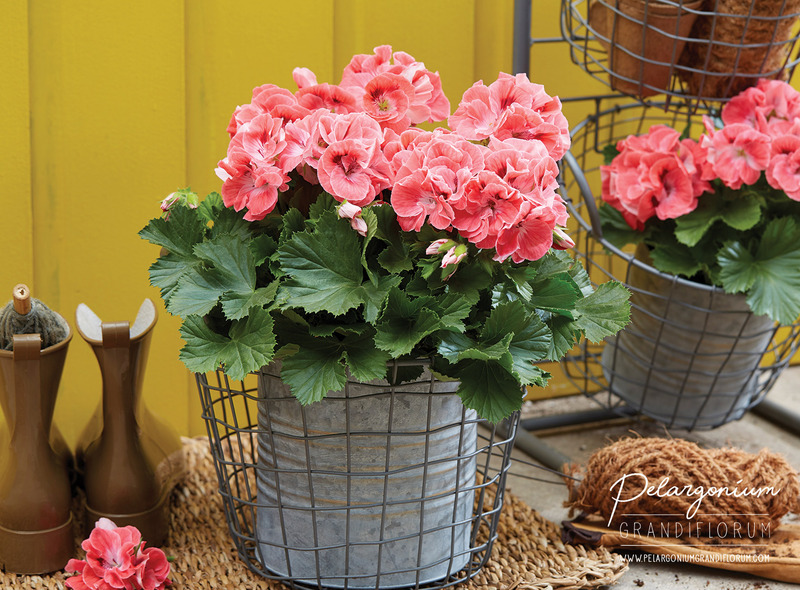 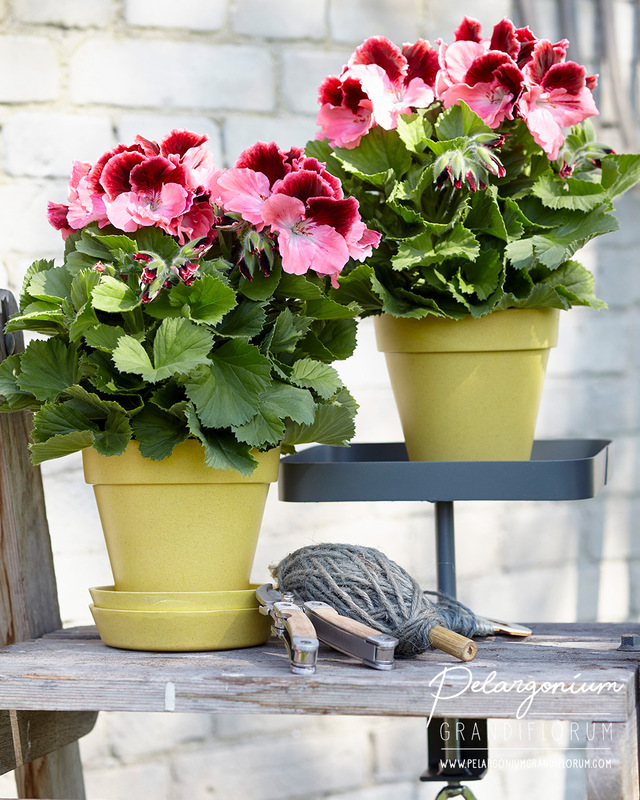 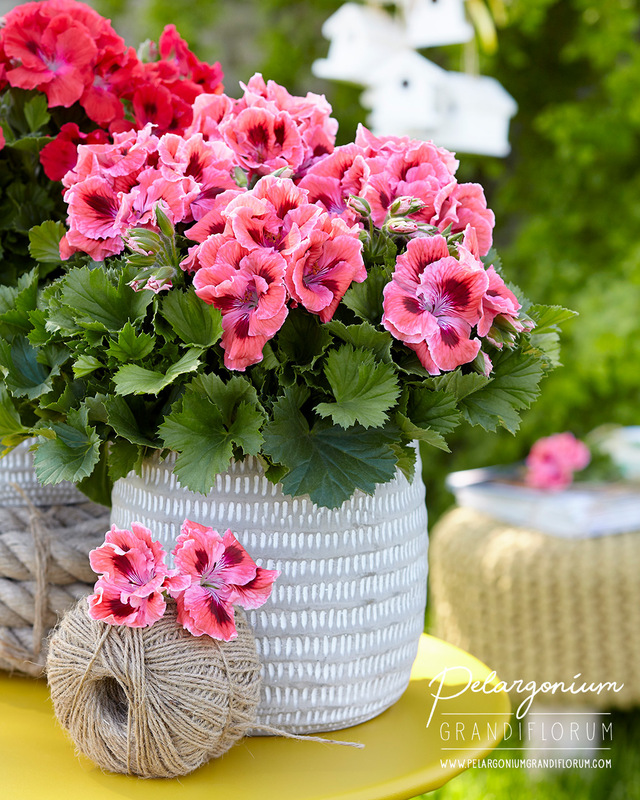 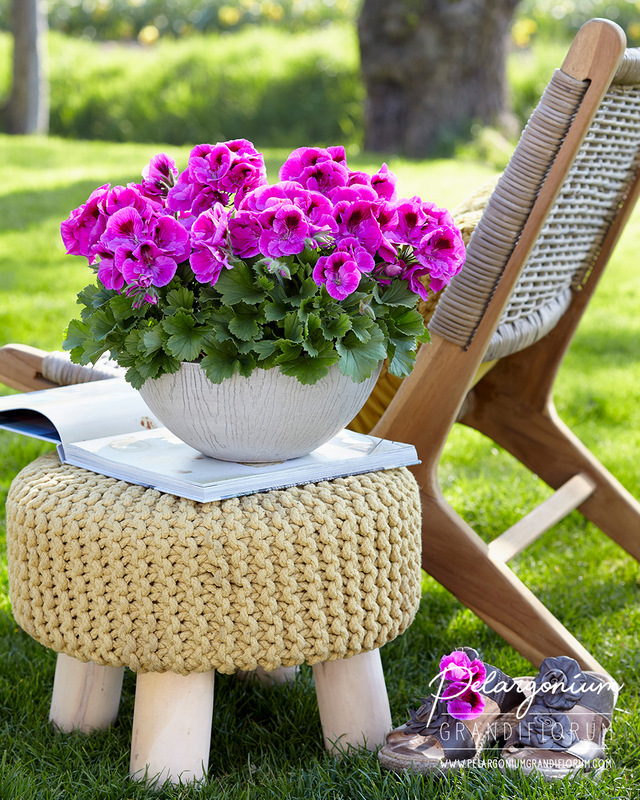 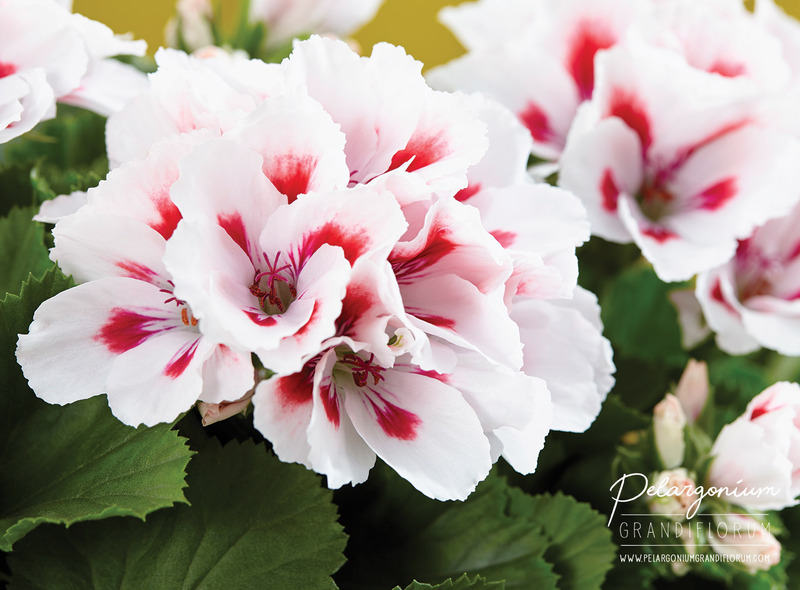 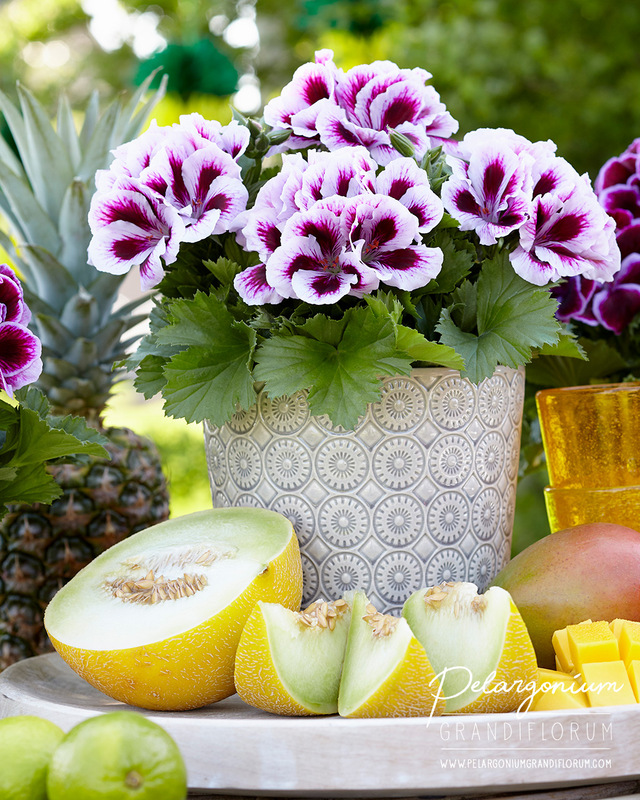 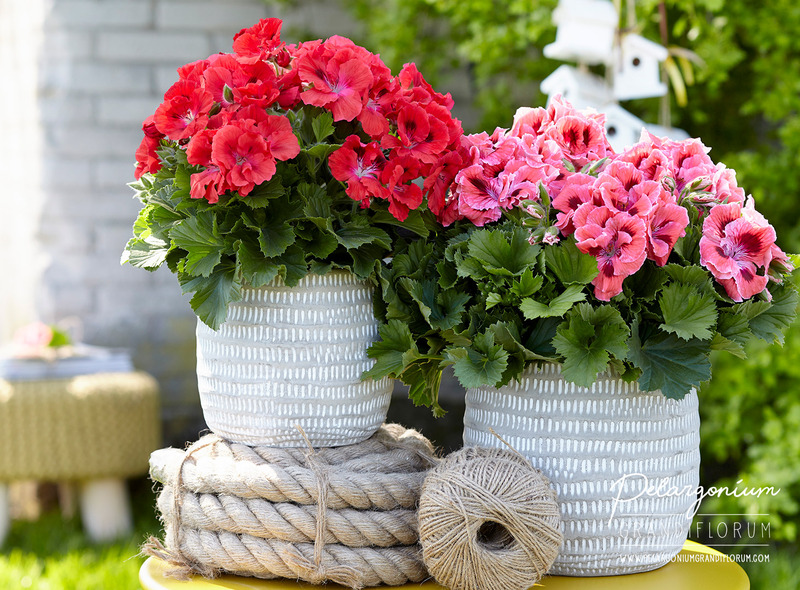 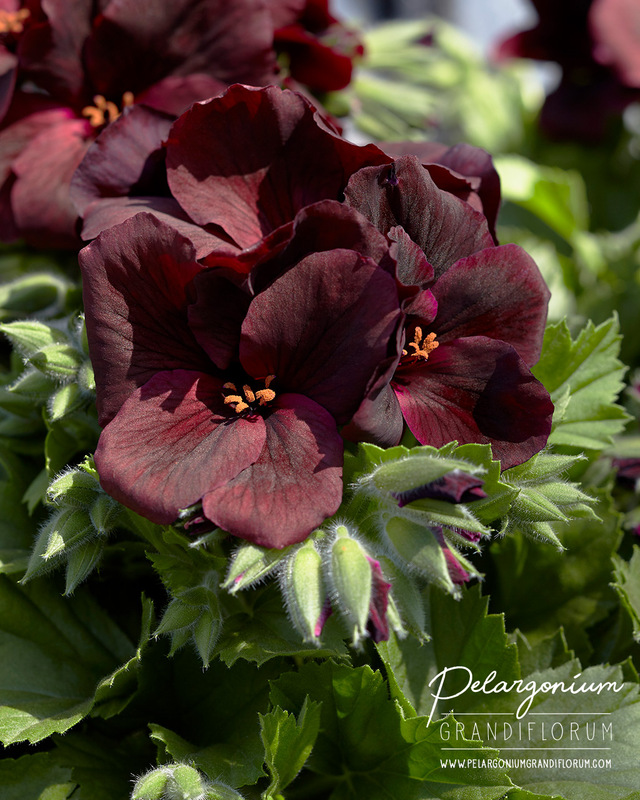 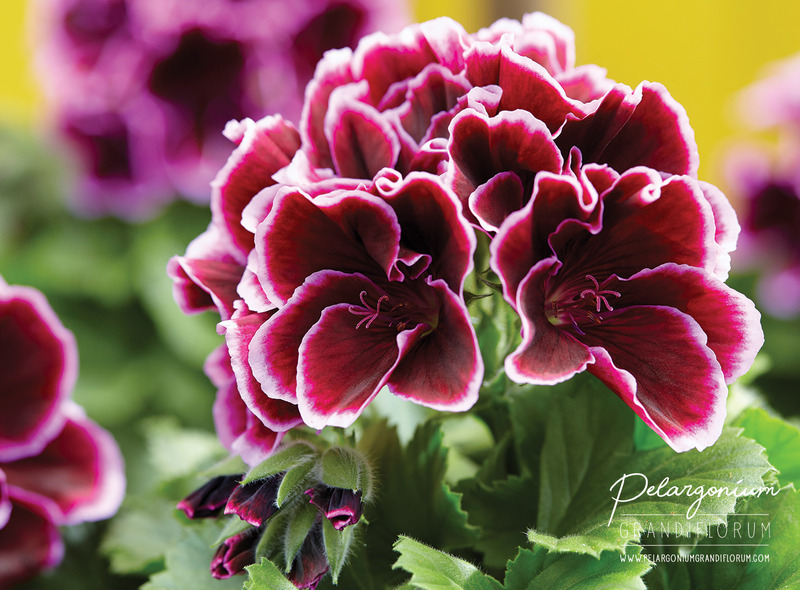 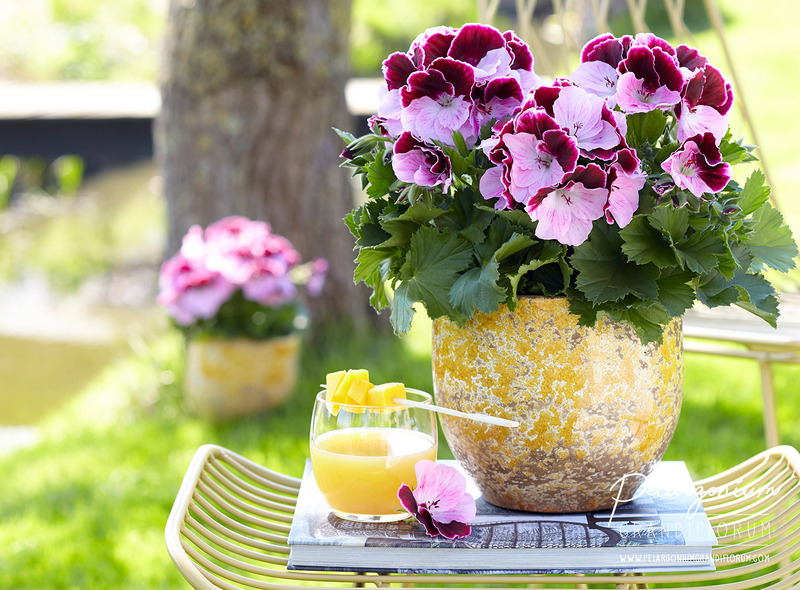 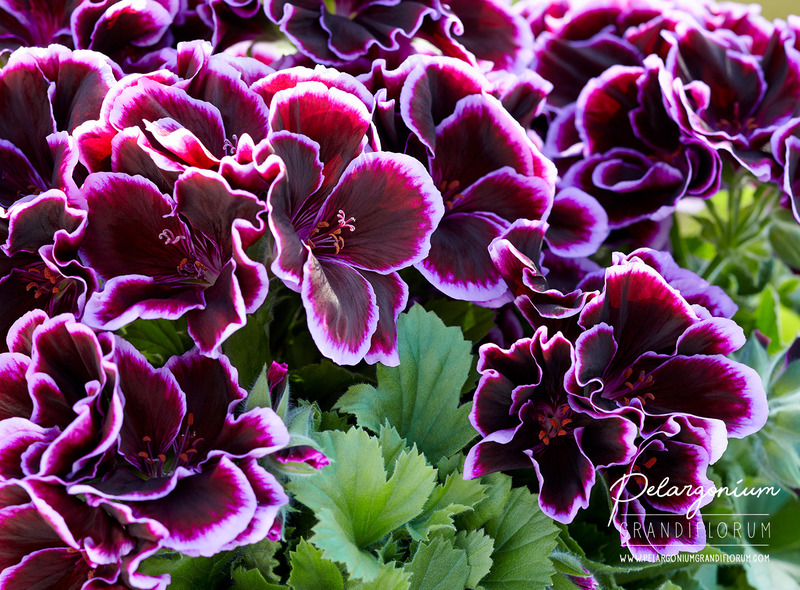 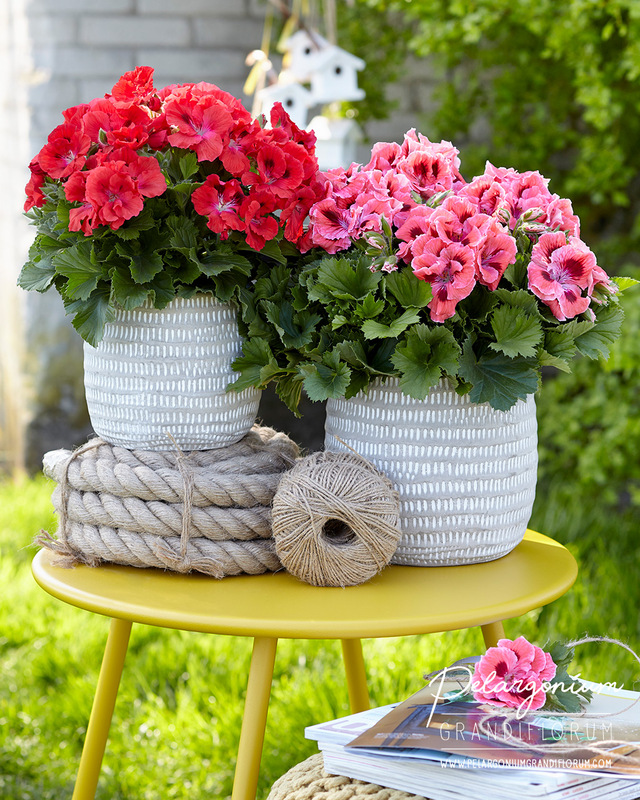 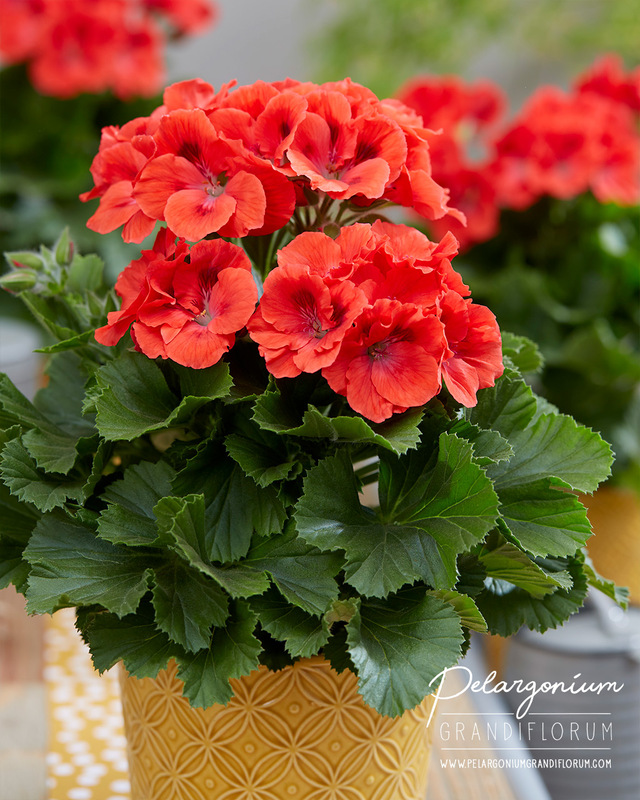 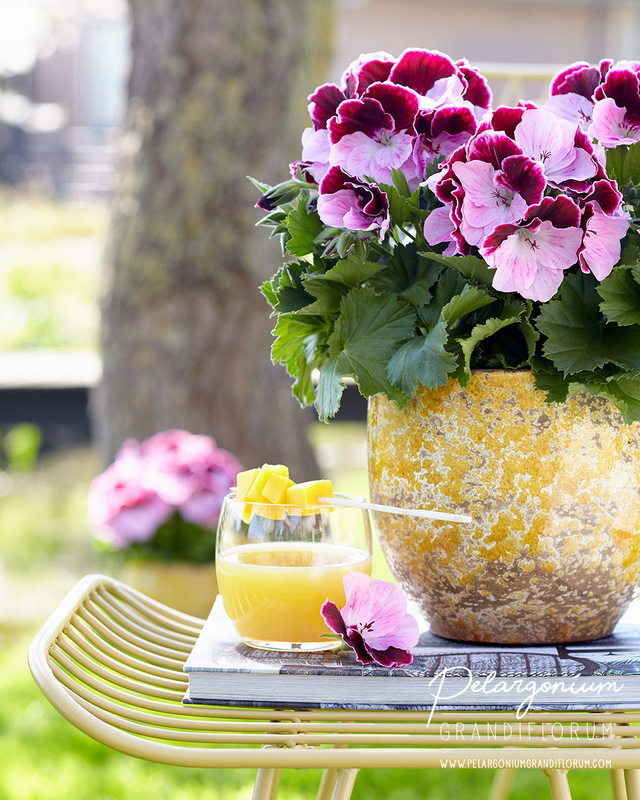 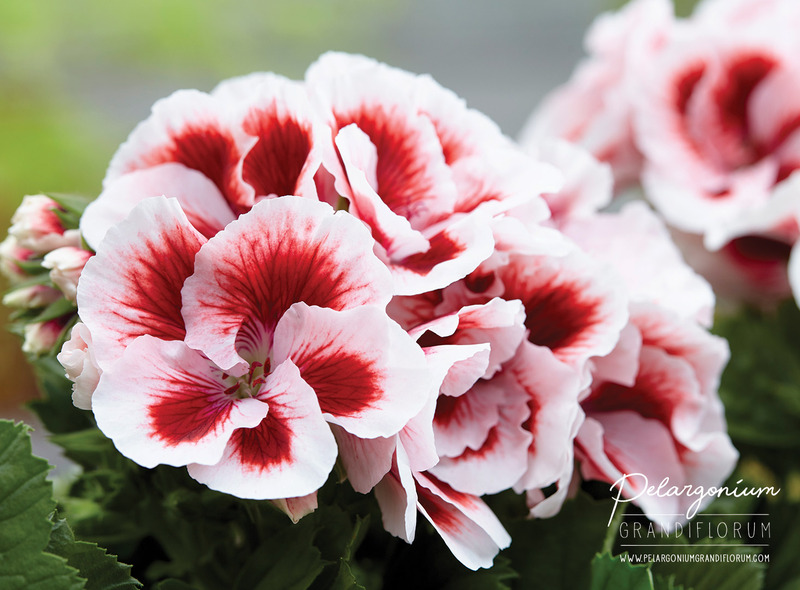 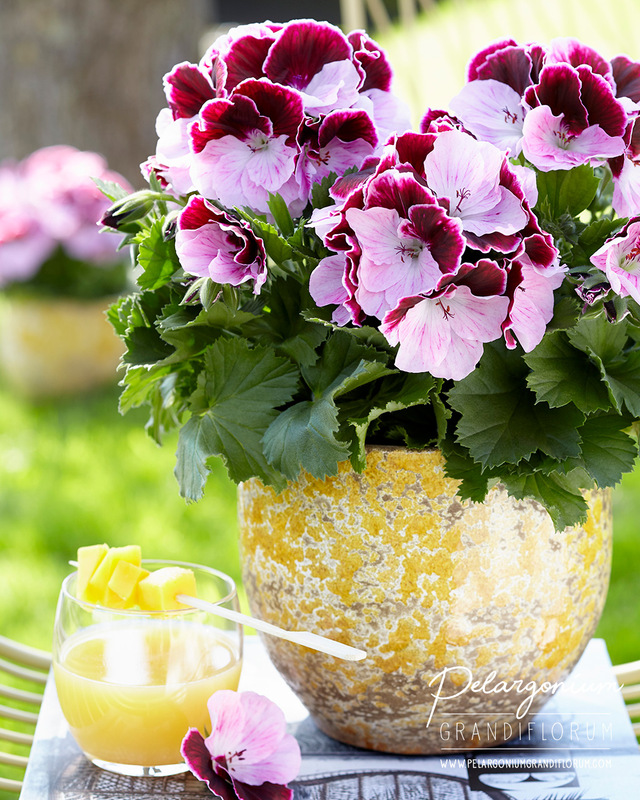 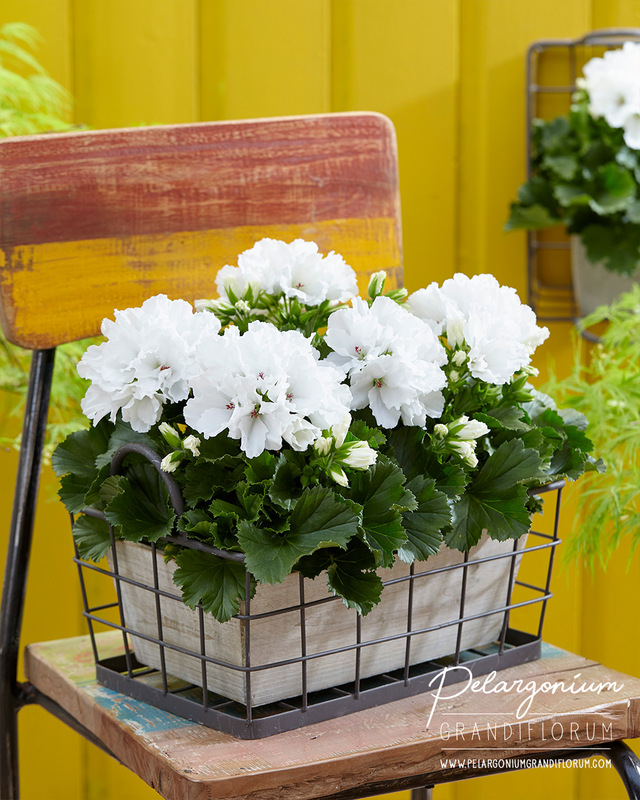 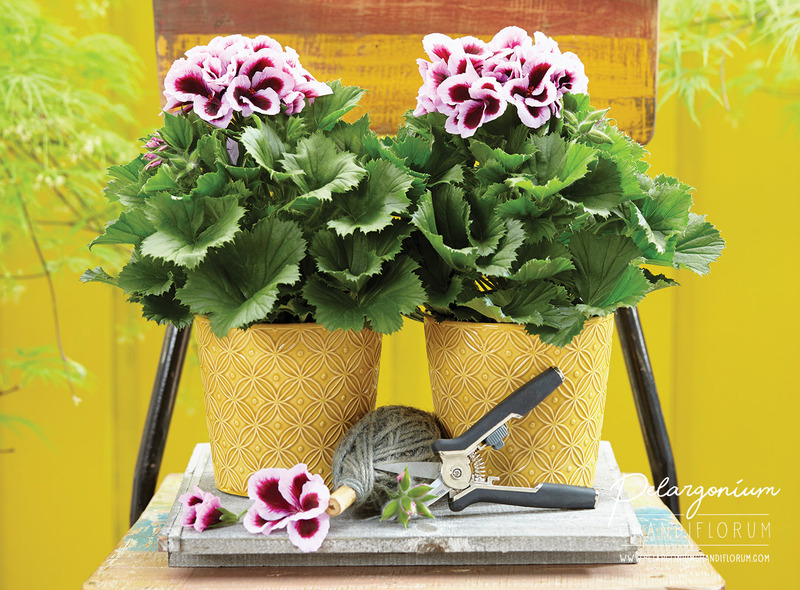 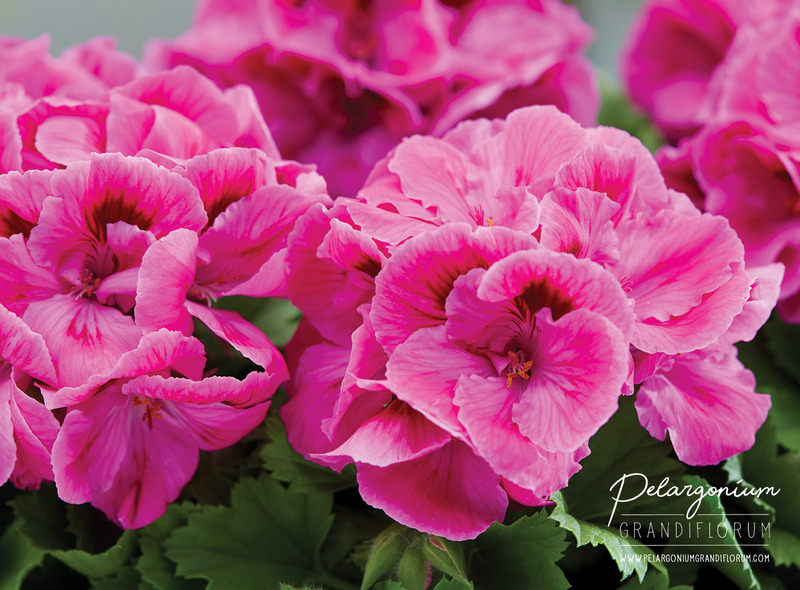 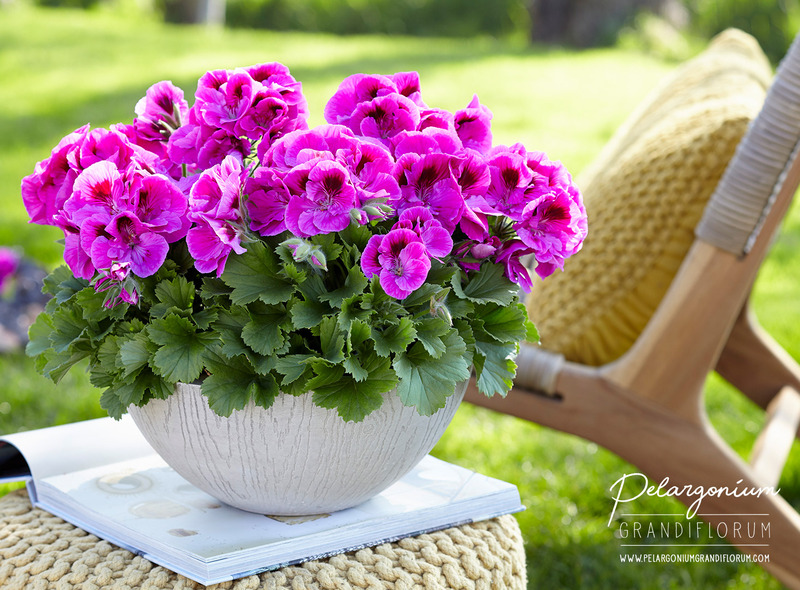 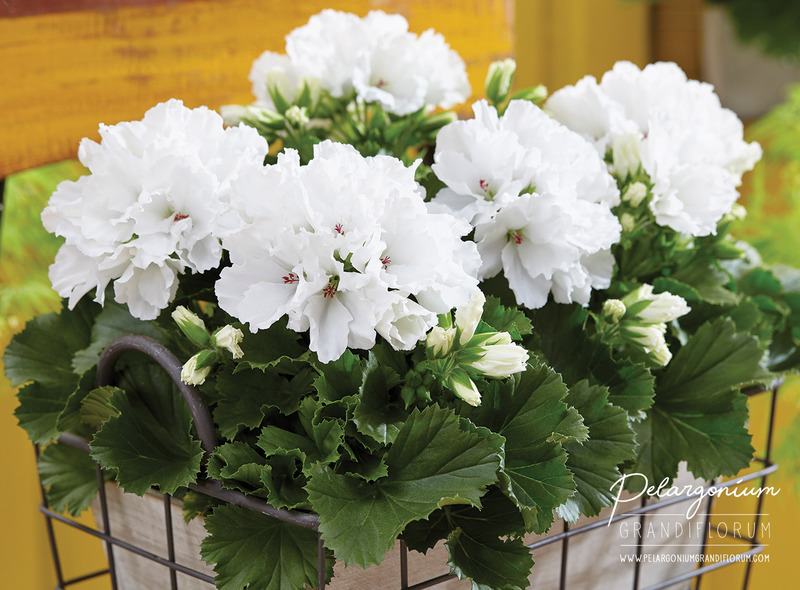 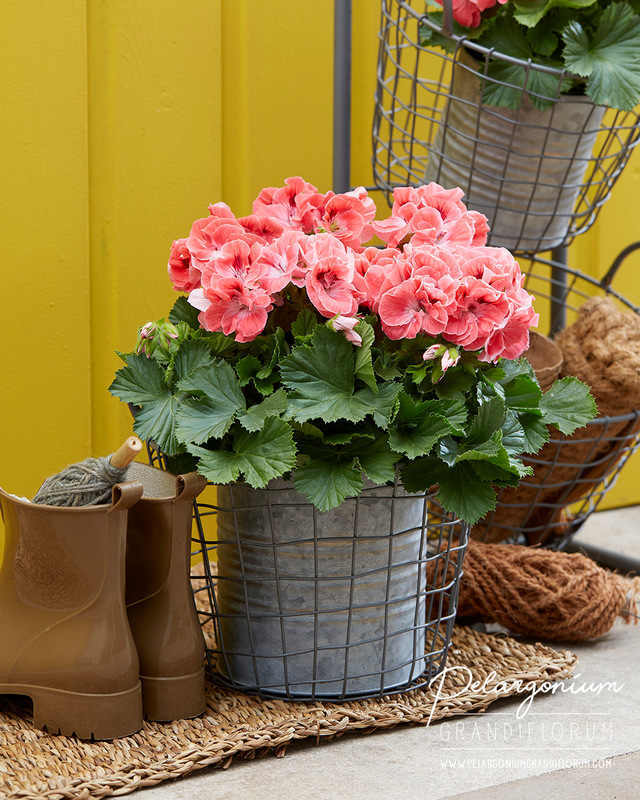 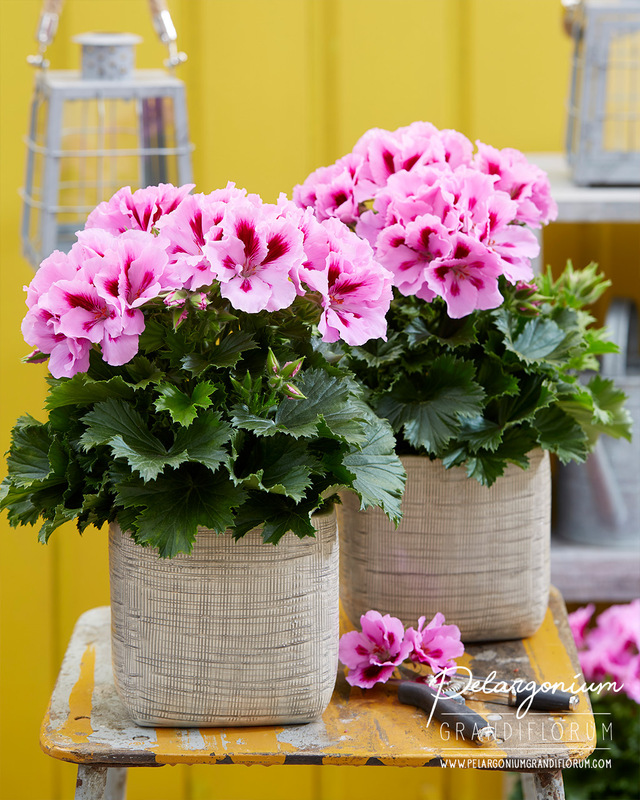 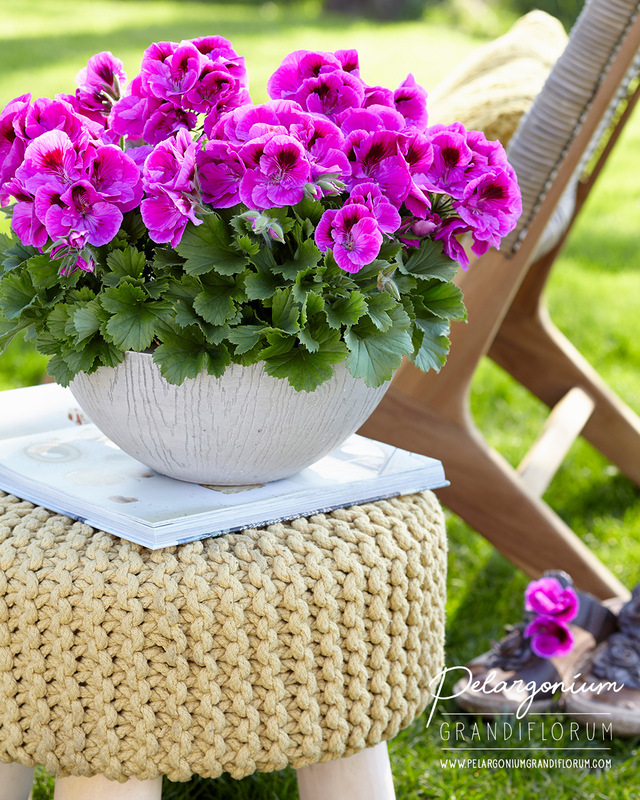 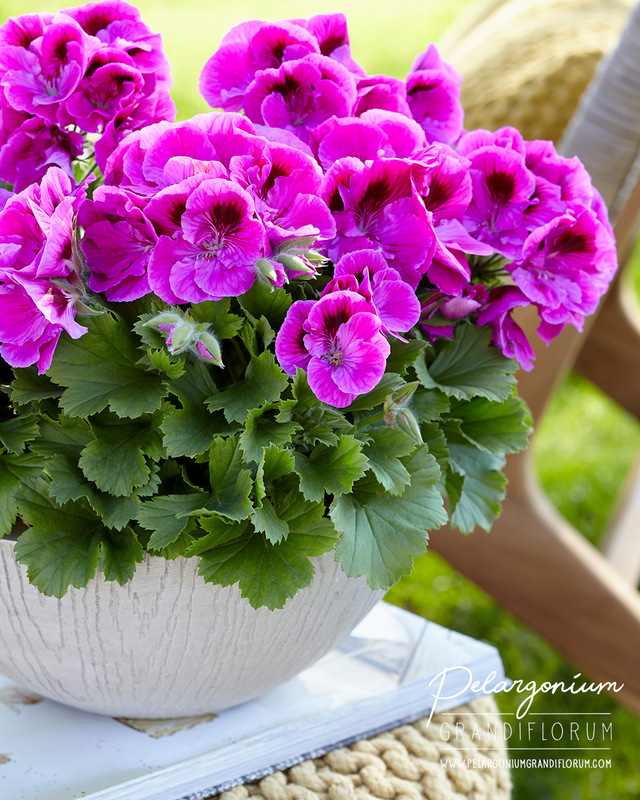 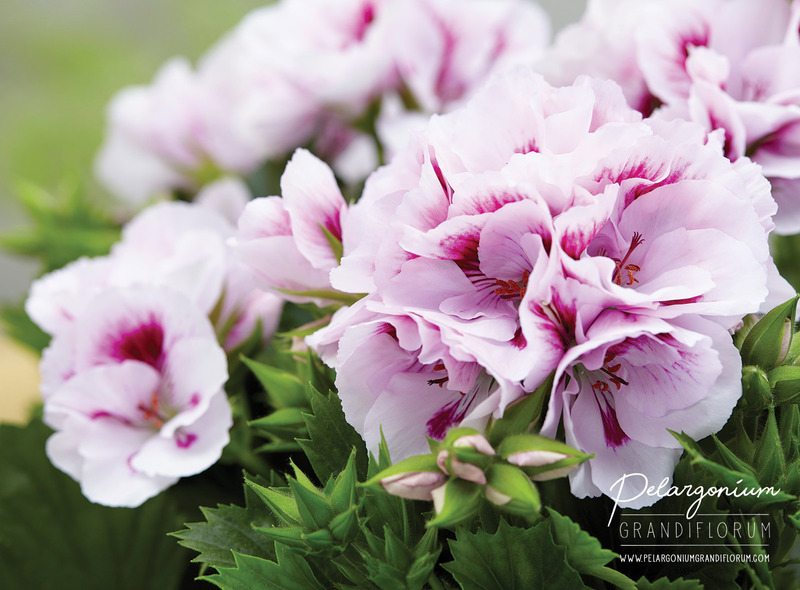 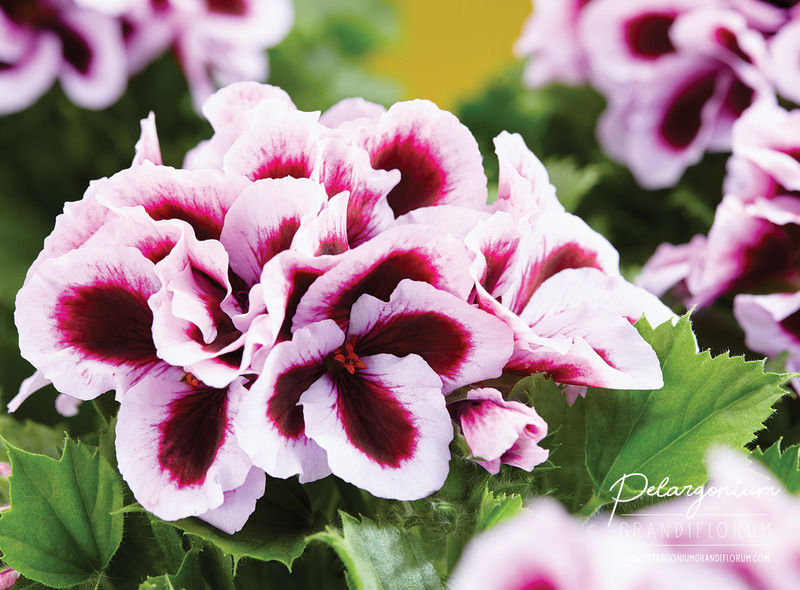 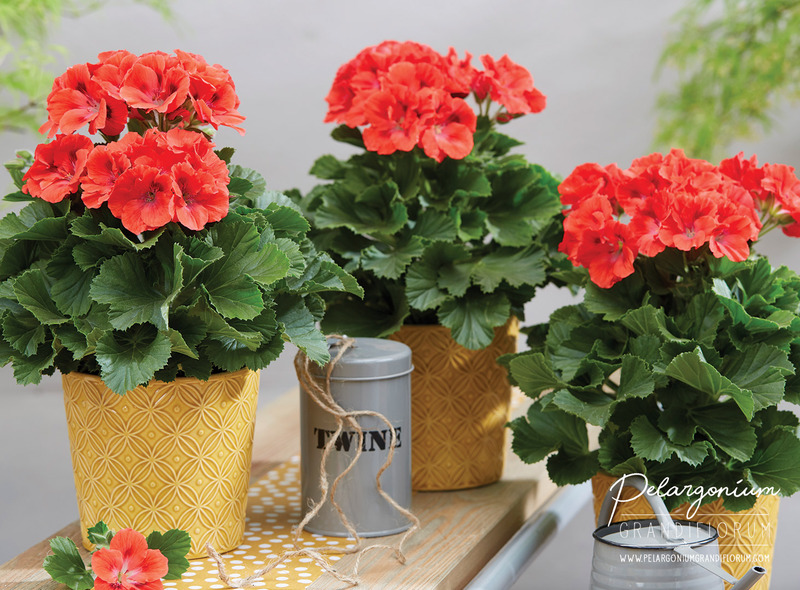 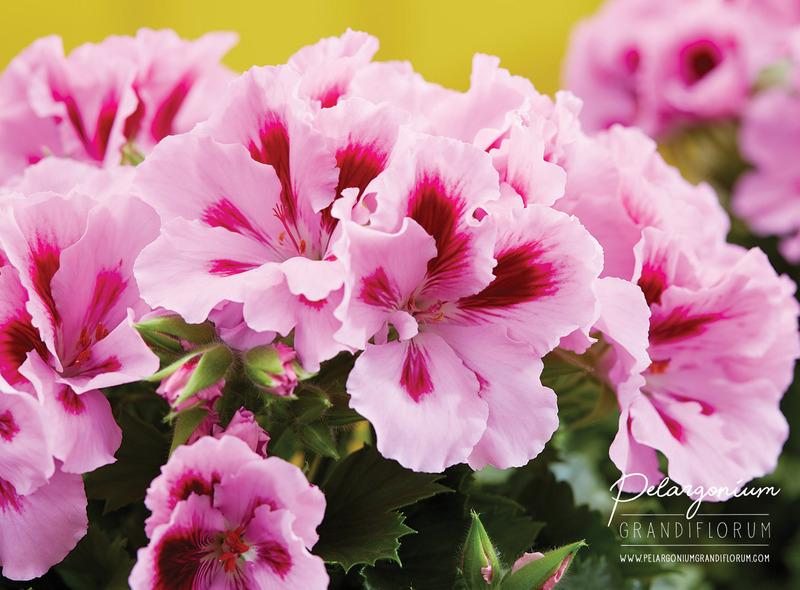 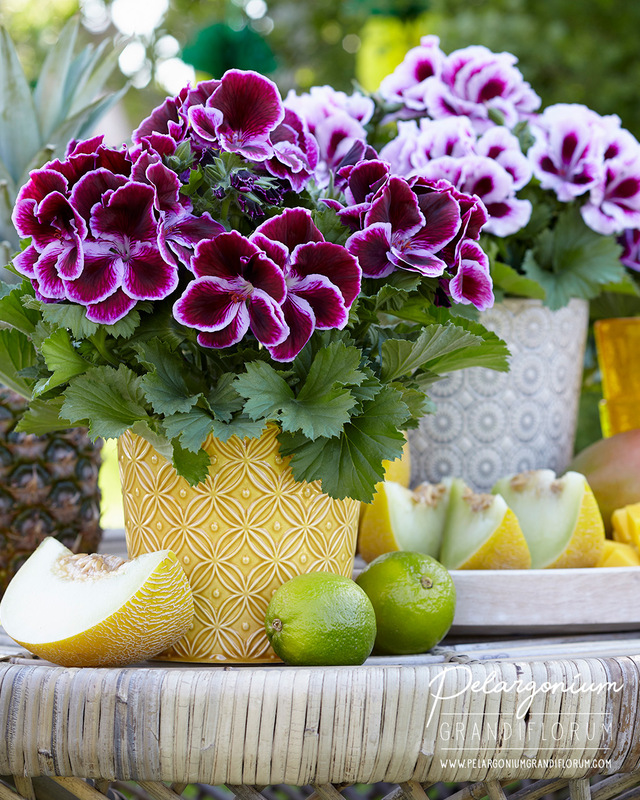 Read more about the background and care tips for Regal Pelargonium. 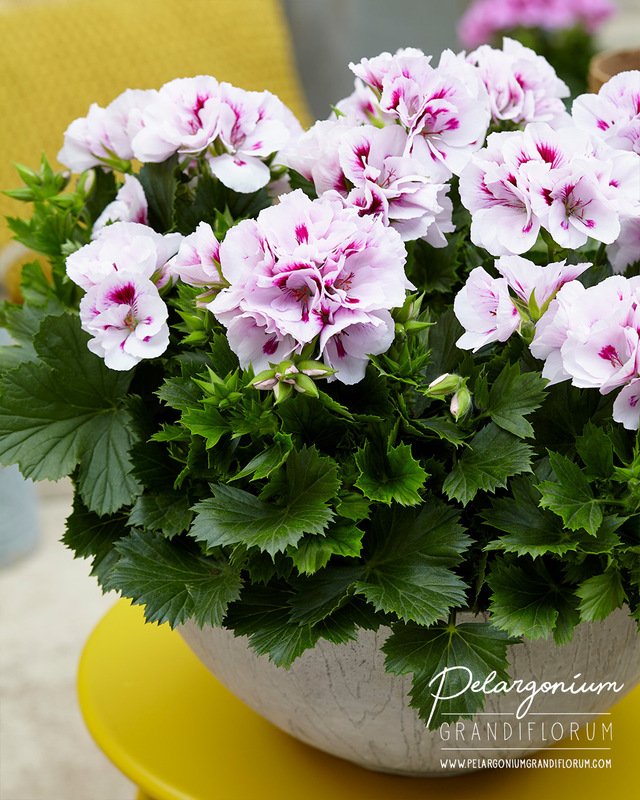 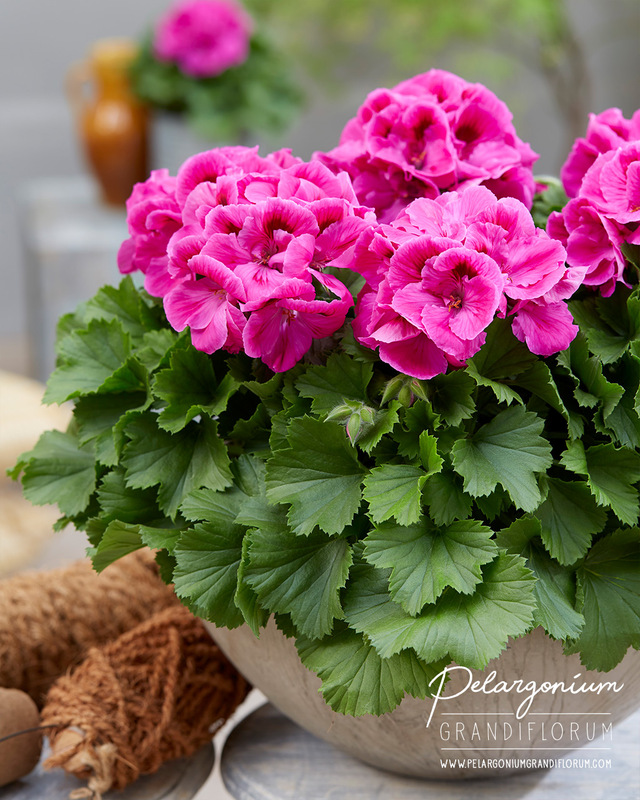 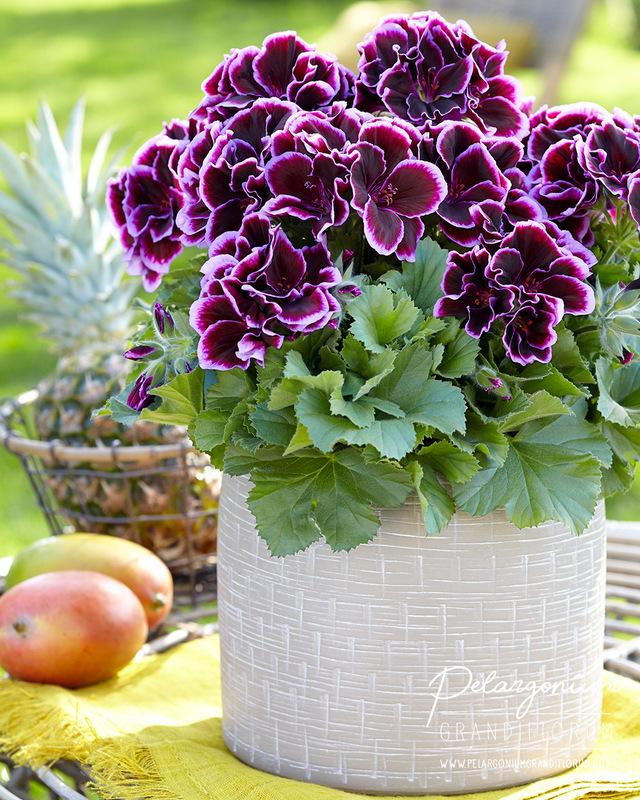 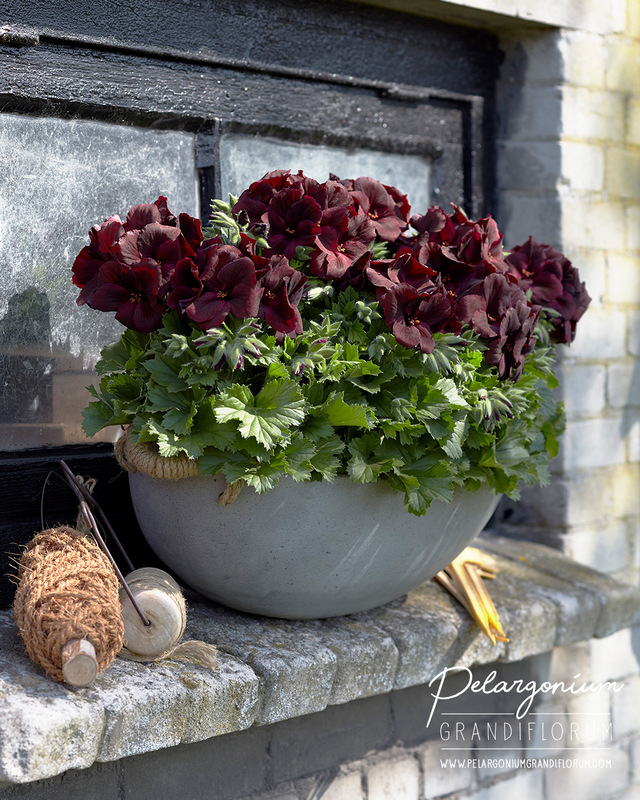 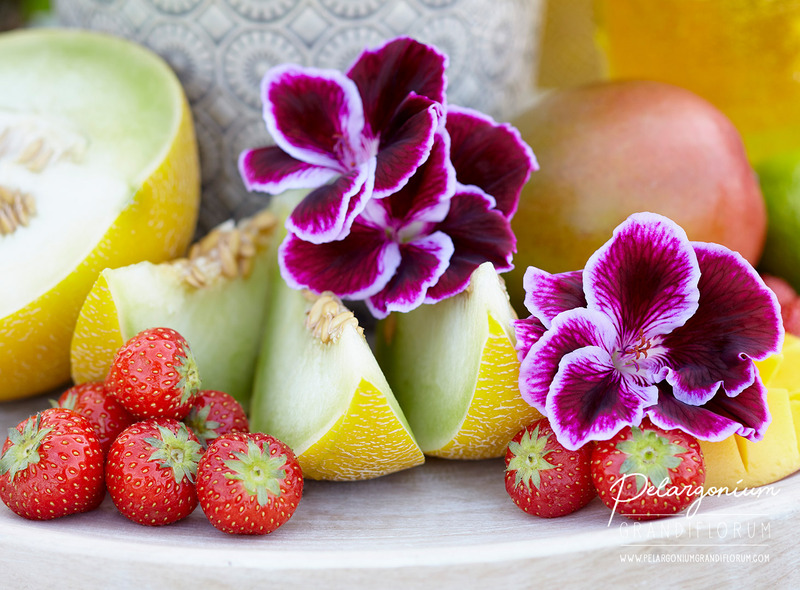 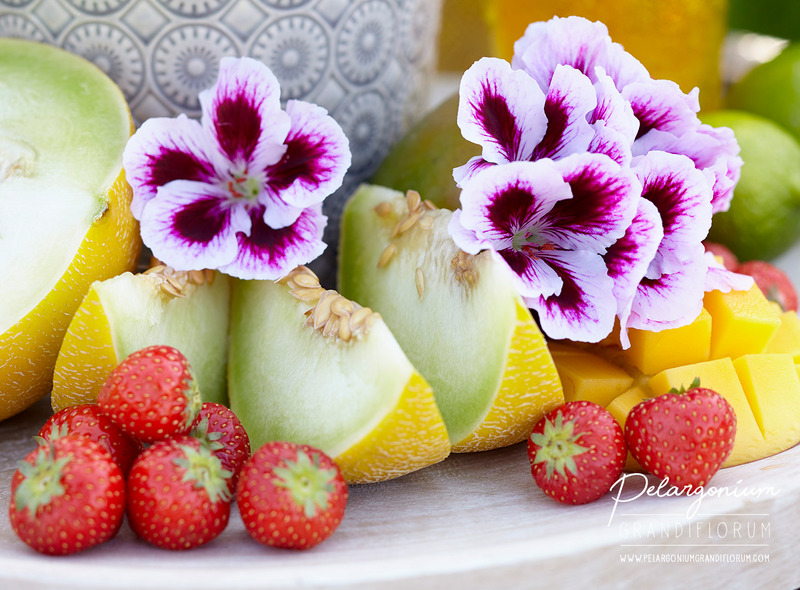 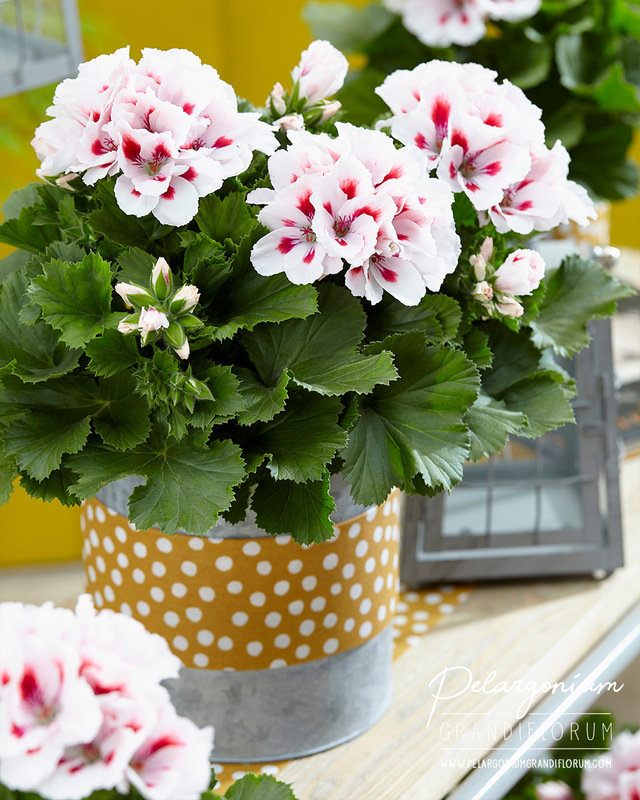 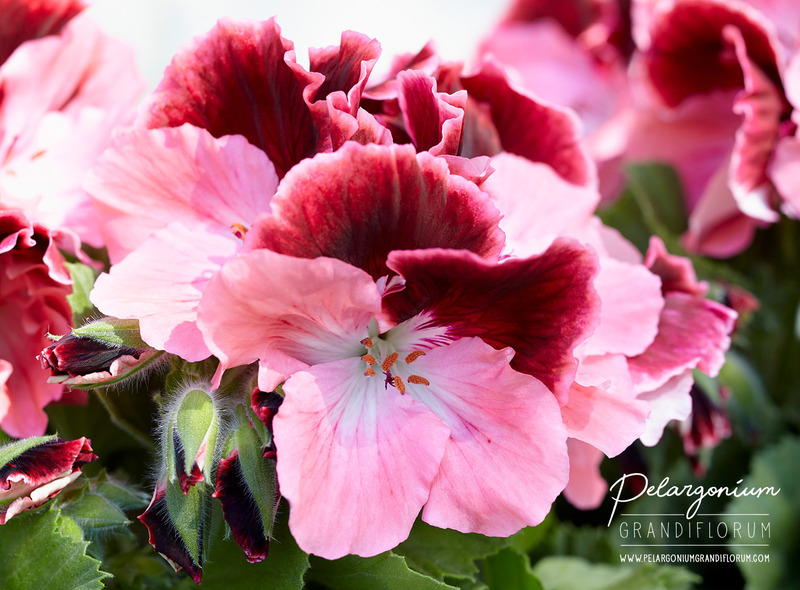 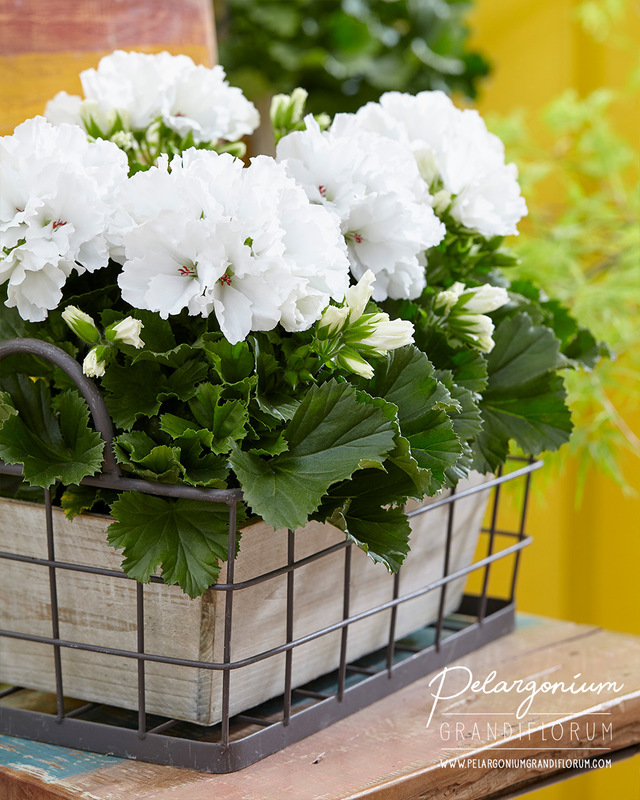 Wondering where the name Pelargonium comes from?